Historic Jacksonville shares tidbits from Jacksonville history every Tuesday on our Facebook page. 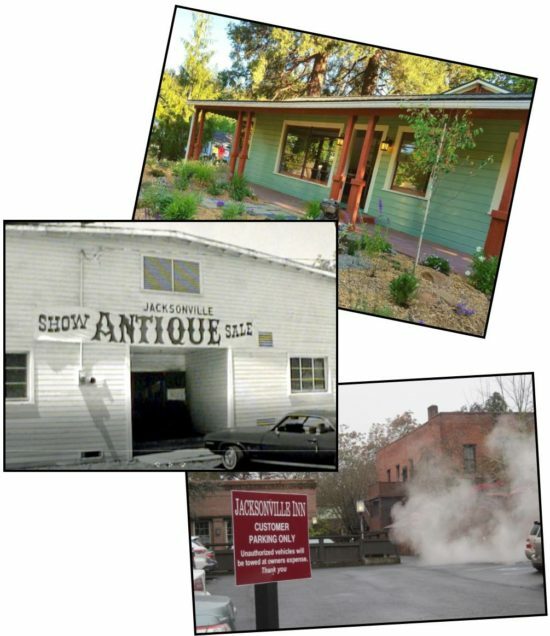 Like us at Historic Jacksonville (historicjville) and enjoy our tales and stories of the people and places that made Jacksonville the major hub of southern Oregon in the late 1800s. 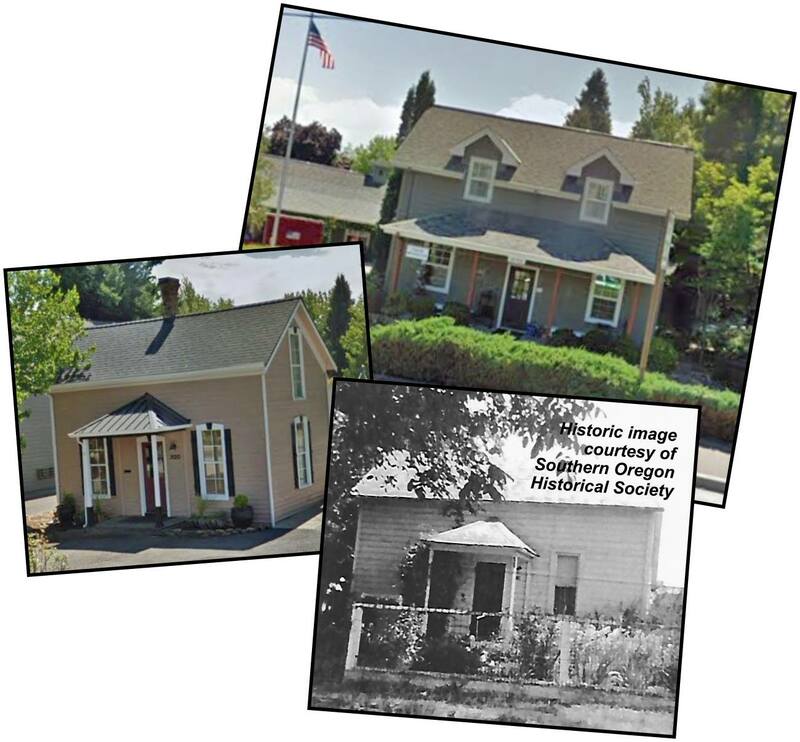 And visit the Southern Oregon Historical Society Library and Archives for access to the historical images included in our posts. The dwelling at 145 W. Pine Street is probably the oldest structure in Jacksonville known to have been built and used as a shed. It was most likely constructed around 1875 after the Kaspar Kubli family purchased the property and the adjacent “Kubli House” in 1872. Photographs of Jacksonville do not include this portion of town until the early 1880s. The building clearly appears on an 1883 map of the town, and in the 1890s the original small rectangular structure is positively identified on Jacksonville maps as a “shed.” Sometime between 1898 and 1907 the “shed” was converted to a dwelling with a small rear addition and porch. The Kublis undoubtedly used it as a rental. Swiss immigrant Kaspar Kubli had arrived in Jacksonville in 1853. He initially shared mining and pack train ventures with fellow immigrant Peter Britt before finding success in ranching, business, and politics. 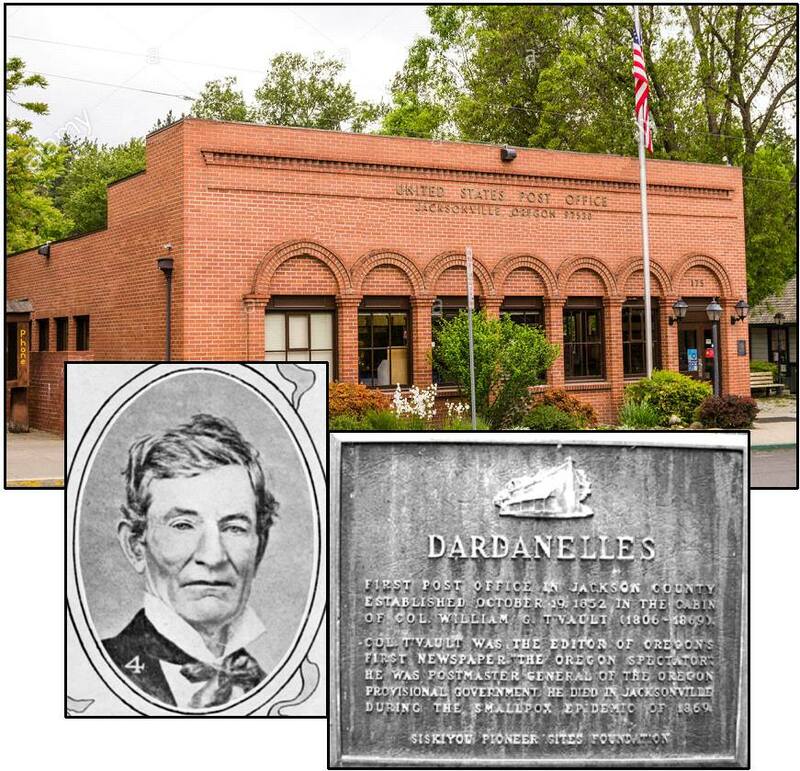 He acquired extensive land holdings, erected the 2-story brick Kubli building on California Street for his hardware business, and was twice elected Jackson County Treasurer. The adjacent house at 305 S. Oregon Street was home to Kubli, his wife Jane, and their 5 surviving children for 25 years. 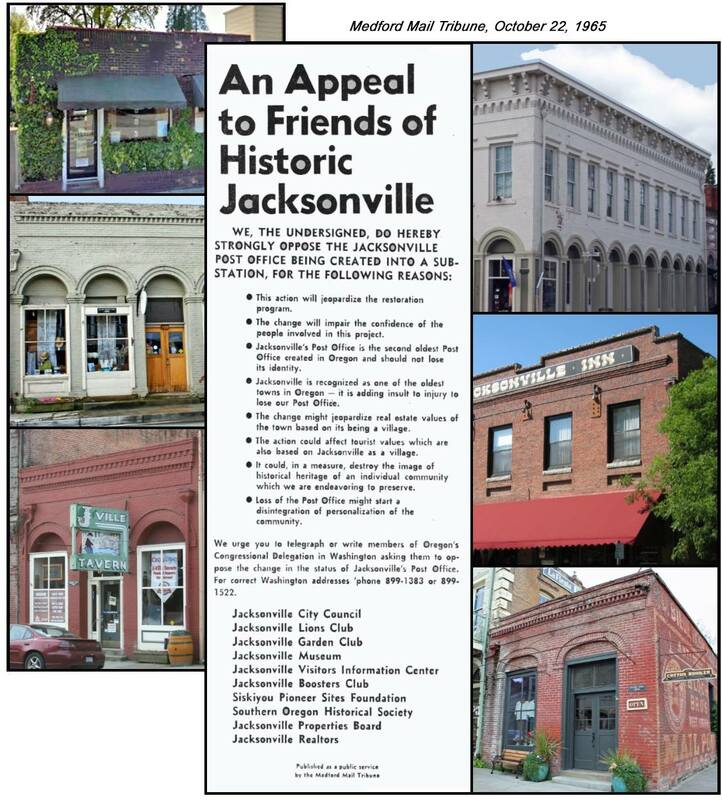 “Like” Historic Jacksonville, Inc. (historicjville) on Facebook and enjoy weekly Jacksonville history trivia. 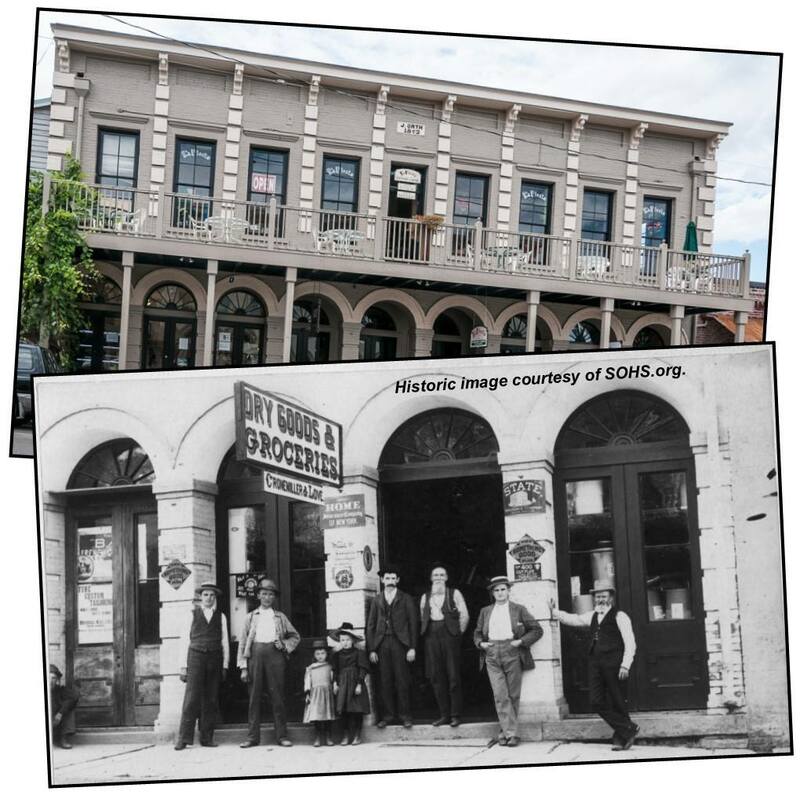 Visit www.historicjacksonville.org to view all the weekly Jacksonville History Trivia posted to date! 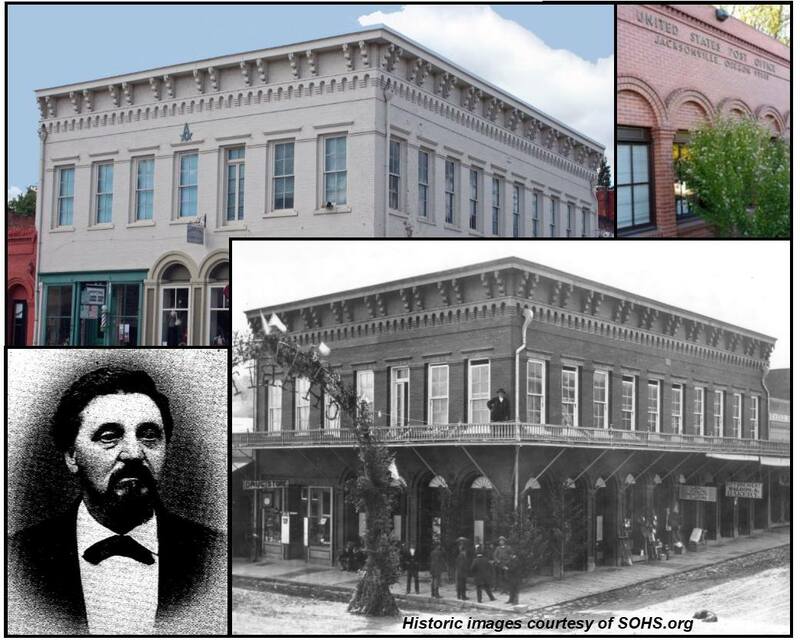 The 1 ½ story wood frame structure at 305 S. Oregon Street in Jacksonville was acquired by Kaspar Kubli in 1872. Although built 10 years earlier, it’s known as the Kubli House since the family occupied the home for 25 years. Kubli had immigrated to the U.S. from Switzerland in 1852, arriving in Jacksonville a year later. After mining for 2 winters, he found greater success packing supplies from Crescent City in partnership with fellow Swiss immigrants, Peter Britt and Viet Shutz. 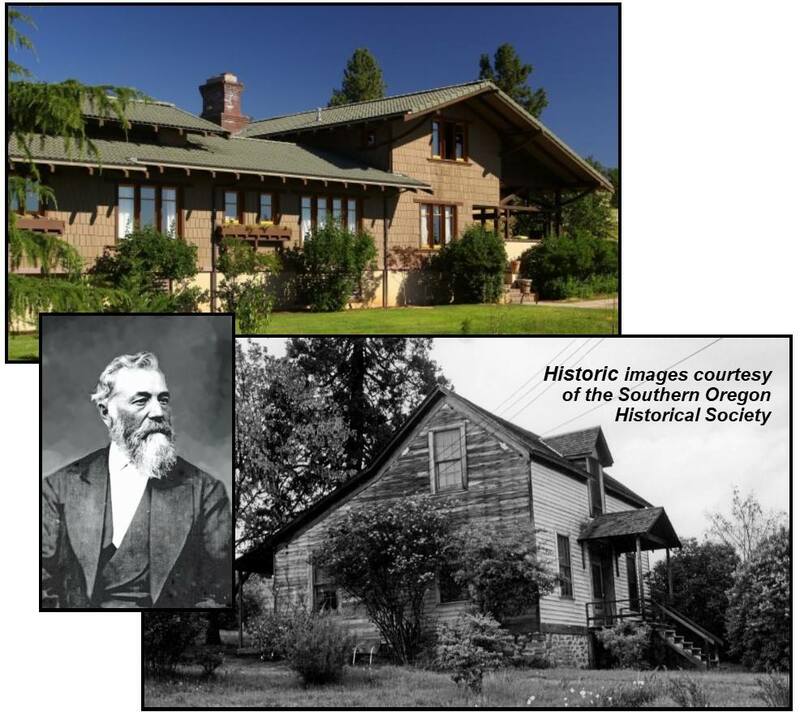 With his capital he acquired extensive land holdings in the Applegate where he engaged in farming and ranching. 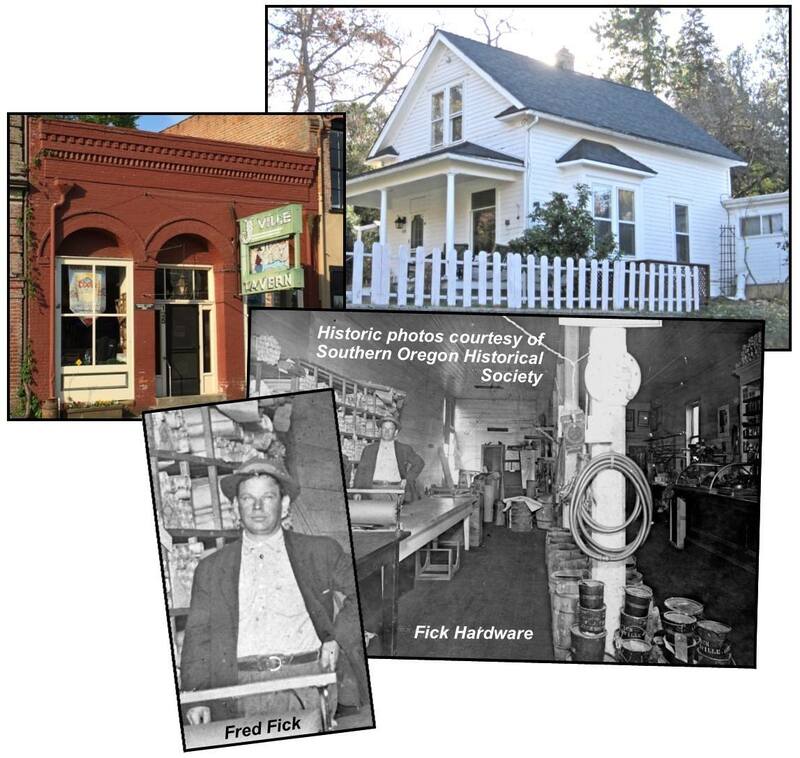 Moving back into Jacksonville in 1872, Kubli purchased a tinsmith and hardware business. Its success led to his erecting the 2-story brick commercial building on California Street which still bears the Kubli name. 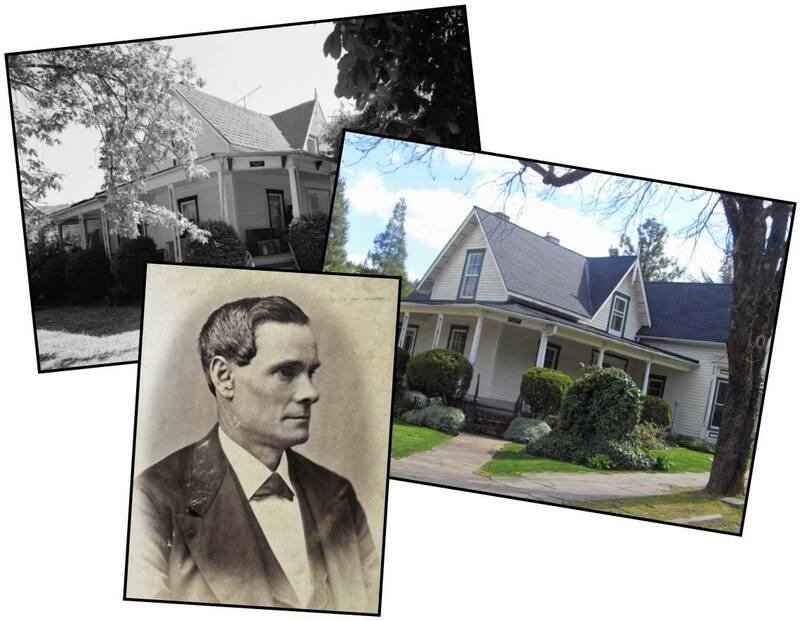 Kubli was also an active public and civic servant, twice elected Jackson County Treasurer, elected Grand Patriarch of the International Order of Odd Fellows grand lodge of Oregon, and involved in the Presbyterian Church management. Cornelius C. Beekman erected his second bank building in 1863 at the corner of California and North 3rd streets in Jacksonville. Begun as a gold dust office in 1856, Beekman saw over $40 million in gold cross his counters during Jacksonville’s heyday in the 1800s—equivalent to over $1 billion in today’s currency! Beekman’s Bank is the oldest financial institution in the Pacific Northwest and remains furnished exactly as it was when Beekman closed and locked the doors for the last time in 1915. Explore the “Secrets & Mysteries of the Beekman Bank” during 45-minute candlelight tours beginning at 6, 7, and 8 p.m. on April 5 and 6. Admission, $5. Reservations required! The 2-story Orth building, located at 150 S. Oregon Street in Jacksonville, was erected in 1872 by German born butcher, John Orth. Prior to the building’s construction, Orth’s butcher shop had occupied a wooden frame building on the same site, sharing the block with the Palmetto Bowling Saloon, the Beard House and Eagle Brewery (later the Old City Brewery), and “an old hospital building.” When Orth razed the older buildings to make way for his new edifice, the Democratic Times newspaper noted that the site had been “devoted to almost every purpose except printing a newspaper and serving God.” The Democratic Times rectified one omission, taking office space in Orth’s new brick building. The Italianate style home at 475 N. 5th Street was built for Benjamin Franklin Dowell, named for his grandmother’s uncle, Benjamin Franklin. Dowell served as prosecuting attorney for Oregon’s 1st Judicial District and as U.S. District Attorney. For 14 years he owned the Oregon Sentinel newspaper, the first newspaper in the Pacific Northwest to support the abolition of slavery and the first to nominate Ulysses S. Grant for president. 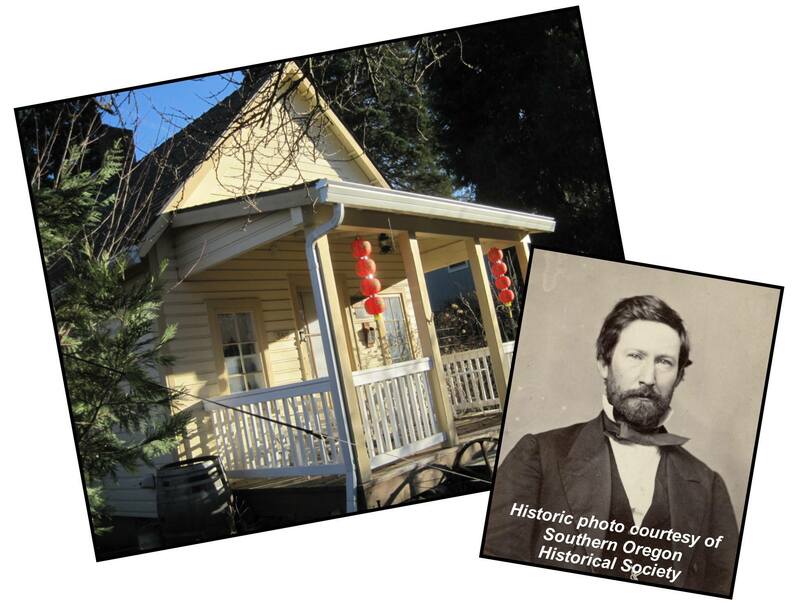 The is one of the earliest Italianate style homes built in Oregon. Constructed in 1861, it may also have been the first home in Jacksonville to be built of brick. Most homes of the period had wood burning stoves for heat, but this distinctive home has 4 fireplaces—one of black onyx and 3 of marble. The marble probably came from Dowell’s own marble quarry on Williams Creek. That same marble was also used for the porch steps and all the window sills. The vernacular farmhouse at 675 E. California Street was built in 1878 for prominent local physician, Dr. Martin Vrooman. Born in New York in 1818, Vrooman apparently did have formal medical training since an Oregon Sentinel article described him as a “regular graduate” and not one of the “guessing school of physicians.” But like many others, Vrooman heard the call of gold and headed west. In 1850 he was mining in California on the Middle Fork of the American River. He apparently alternated between mining and medicine, pursuing one or both in California and the Nevada Territory. Vrooman settled on medicine, arriving in Jacksonville in the early 1870s where he opened a practice. At some point he married divorcee Christina Strang—one source says early 1870s; a marriage certificate in the SOHS archives gives the date as 1878, around the same time his house was constructed. (The latter date would have been cause for scandal since their son Francis was born in 1876!) By 1881 Vrooman had added a drug store, the Jacksonville Dispensary. 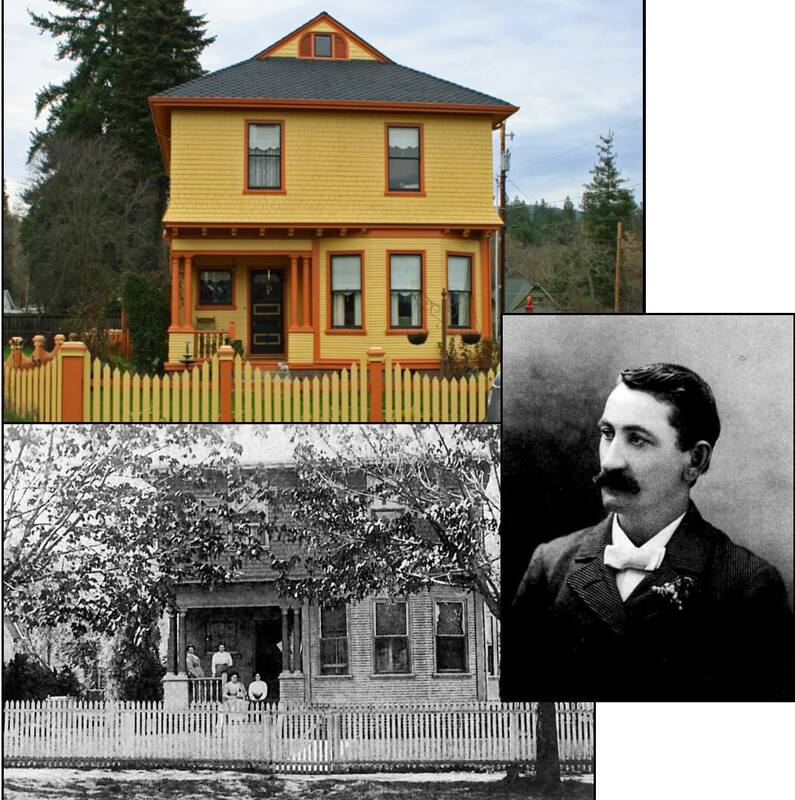 But when the Oregon and California Railroad bypassed Jacksonville in 1883, Vrooman moved his practice and his drugstore to the new town of Medford and sold his Jacksonville home. Unfortunately, his son Francis died that same year, 1884, 1 day short of his 8th birthday. Vrooman himself died 7 months later in 1885 from “bronchial consumption,” i.e., tuberculosis. The wood frame 1880s farmhouse at 820 North 5th Street that currently houses Pioneer Financial Planning was originally built for Peter N. Fick (known as “Nicholas”) and his wife Henrietta Richtor. Both were born in Germany, meeting and marrying in Jacksonville in 1875. 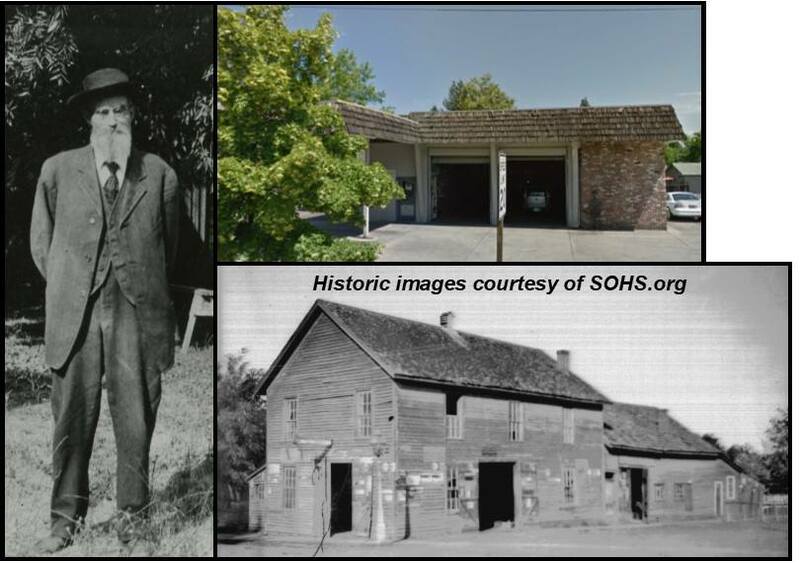 Nicholas first worked as a butcher with John Orth before acquiring land in the “east end of town.” By 1910 he was raising grains and livestock on some 150 acres that extended to Shafer Lane and had constructed a large family home on the current site of Wine Country Inn. Nicholas died in 1913. Henrietta outlived him by 29 years and by 1922 had reduced the family’s active holdings to 40 acres, renting out the remainder. The Fick’s younger son, Peter J. Fick born in 1883, apparently managed the property, operating a small-scale dairy. Peter J. also served on the Jacksonville City Council for 14 years and captained the town’s Volunteer Fire Department. Over the years, most of the original Fick holdings were divided and sold by the family’s heirs, however, Peter J. and his wife Zola retained ownership of the existing 820 North 5th Street parcel until their deaths. 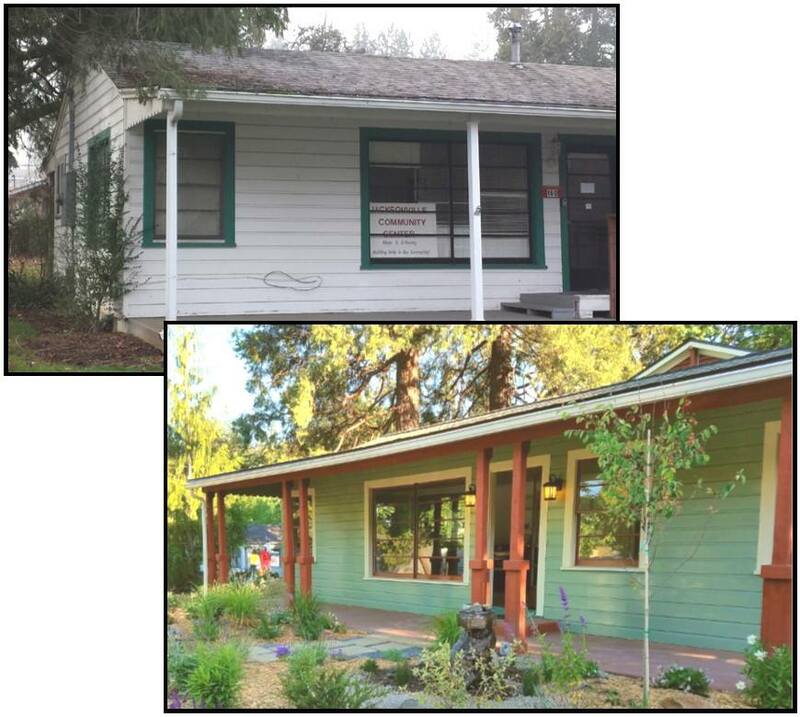 The Nicholas Fick farmhouse was demolished in the late 1880s, but the office of the Wine Country Inn is supposedly a replica. The Peter and Zola Fick house remains the only original property associated with the Fick family farm. We’re lightening Jacksonville’s January gloom with the story of how Chautauqua came to town! Chautauqua was a highly popular adult education movement in the late 19th and early 20th centuries that brought speakers, teachers, musicians, showmen, and preachers to cities and rural communities. President Theodore Roosevelt described Chautauqua as “the most American thing in America.” In 1924 and 1925, an inspired Jacksonville City Council persuaded enough backers to secure a week of entertainment from the Ellison-White Chautauqua Company. Lacking a grand auditorium or park, Jacksonville’s first season was held in the high school gymnasium; the second in the U.S. Hotel ballroom. 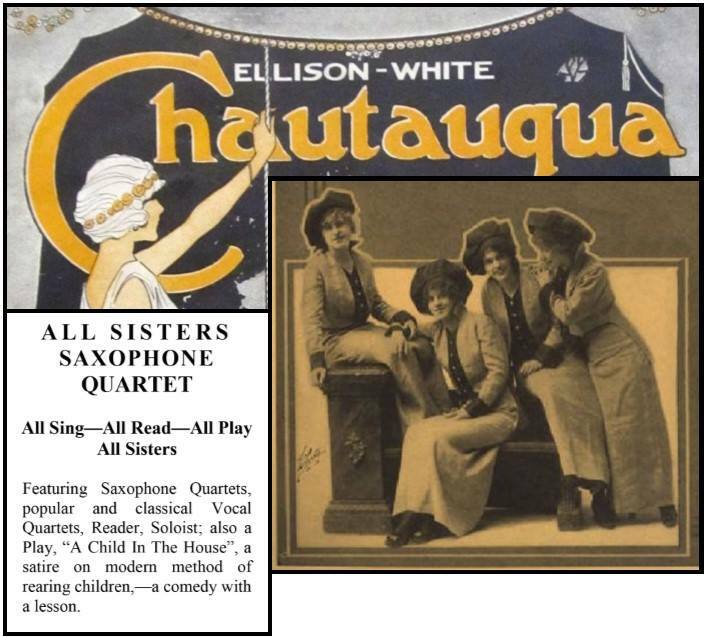 Season tickets sold for $2, enough to secure “wholesome college-type entertainers who presented genteel program material.” One of the highlights of the first season was the Rouse “All Sisters Quartet,” 4 saxophone-playing sisters from Iowa. Regrettably, both seasons ended in a deficit. 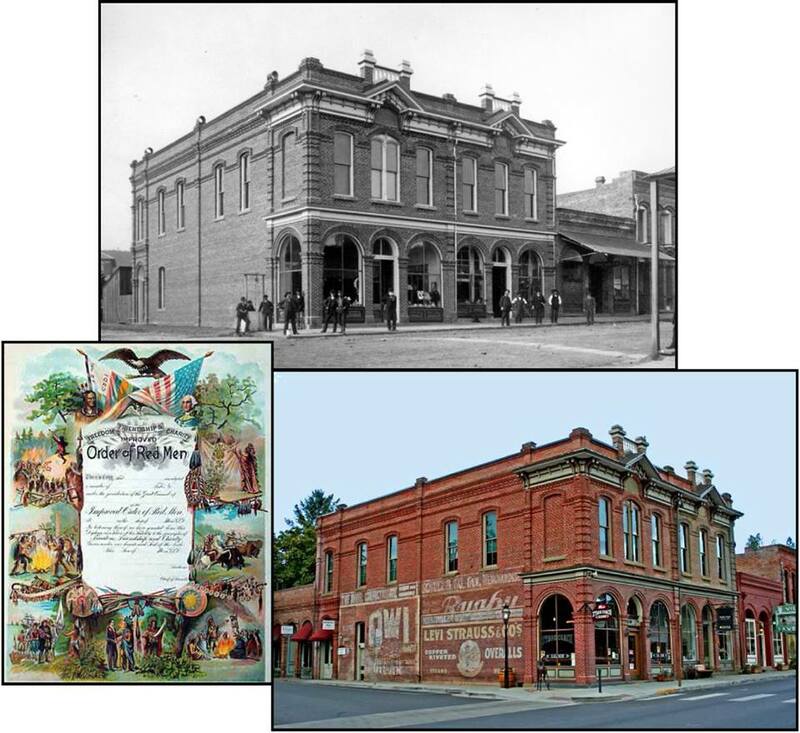 Medford was campaigning to become the county seat, Jacksonville was becoming a backwater, and citizens had become more concerned with necessities than culture. But for a brief period, Jacksonville still enjoyed a touch of glamor. 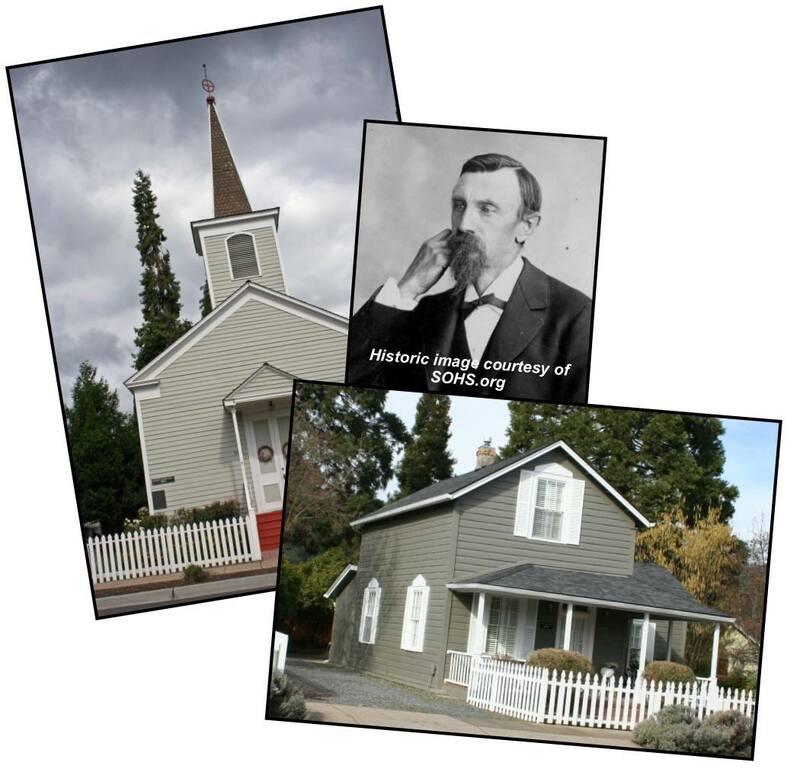 Since we featured the Thomas Kenney House in Kenneth Gregg’s photo painting for our Miscellaneous Monday, we thought we would provide a little more background for History Trivia Tuesday. The house at 285 North 4th Street, one of Jacksonville’s few Queen Anne style homes, was built around 1898 by Thomas J. Kenney. Kenney’s father, Daniel M. Kenney, had opened the town’s first trading post in 1852, a tent structure at the corner of Oregon and California streets. His mother was Elizabeth T’Vault, daughter of lawyer, politician, and newspaper publisher William T’Vault. At age 8, Thomas began working as a “chore boy” in a livery stable, became an apprentice harness maker at age 10, and at 25 opened his own harness and saddle store. 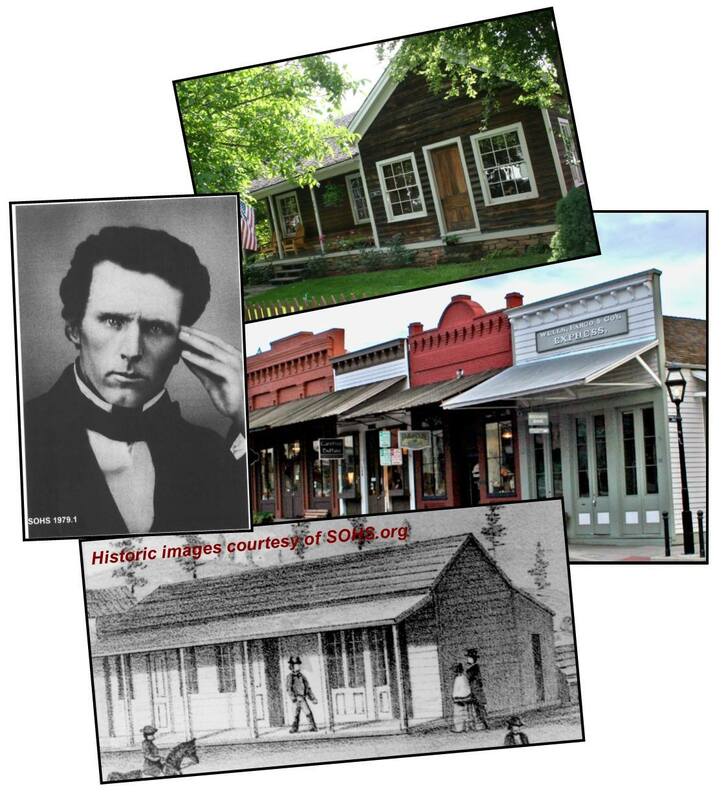 He subsequently sold insurance, invested in mines, accumulated considerable property, and conducted a hardware and grocery business becoming one of the town’s leading merchants. He served on the school board and city council, was active in various lodges, and was regarded as one of Jacksonville’s legendary patriarchs. We hope you have a chance to tour the new Jacksonville Community Center—a lovely, multi-purpose facility. However, the remodeled and expanded Sampson/Miller building is not the town’s first gathering place. Local fraternal buildings and breweries served that function for years after the town’s founding. Then in 1947 when Camp White buildings were being sold after World War II, the City and/or the Lions Club purchased some of their “surplus” and constructed a community center at the corner of C and North 4th streets to serve as a meeting and social gathering spot for adults and kids alike. Longtime residents recall it being the site of after-school activities, teen dance classes, and community Christmas gatherings. The Presbyterian Women prepared monthly suppers for the Jacksonville Lion’s Men’s Club. A 1953 Mail Tribune mentions the Hall as the site of the Jacksonville Volunteer Fire Department’s annual November ball. However, by the 1960s, the Community Center was becoming run down and the Saturday night dances had become rowdy. Mayor Jack Bates bought the community center and the adjacent P.J. Ryan building and began restoration work on the latter—part of Jacksonville’s revival after becoming the first West Coast district on the National Historic Landmark registry. By 1968, Bates tore the old community center down to serve as a parking lot for his new Jacksonville Inn. Jacksonville’s original community center was a “thing of the past” by the time Jerry Evans purchased the Jacksonville Inn that we know…..
After nearly 20 years of planning and contributions from 100s of people, Jacksonville’s new community center at the corner of Main and South 4th streets will celebrate its public Grand Opening this Saturday, January 12, from 4 to 7pm. Now officially the Jacksonville Community Center, the 1946 Sampson/Miller building that has housed the “Senior Center” and community activities since 1998 retains a piece of Jacksonville history in the remodeled and expanded structure. The property was originally part of “Gunsmith” Miller’s estate. The building at the other end of the block that formerly housed Jacksonville’s administrative offices is the bottom story of what was Miller’s elegant 3-story Queen Anne-style home built in the 1880s. The Sampson/Miller property was the site of Miller’s stable, shed, and orchard. A 1944 fire destroyed the top 2 floors of the Miller home. With post-war housing at a premium, in 1946 the Sampson/Miller property was sold to Jaftel L. Potter who built the original modest structure at the core of the new center. The property passed through multiple owners over the years, eventually winding up in the hands of Robert and Martha Sampson in 1994. In 1998 they sold it to the City of Jacksonville, and the rest is history—or at least “known history” in this case—and the building will continue to make history as it serves as a gathering place for people of all ages for years to come. 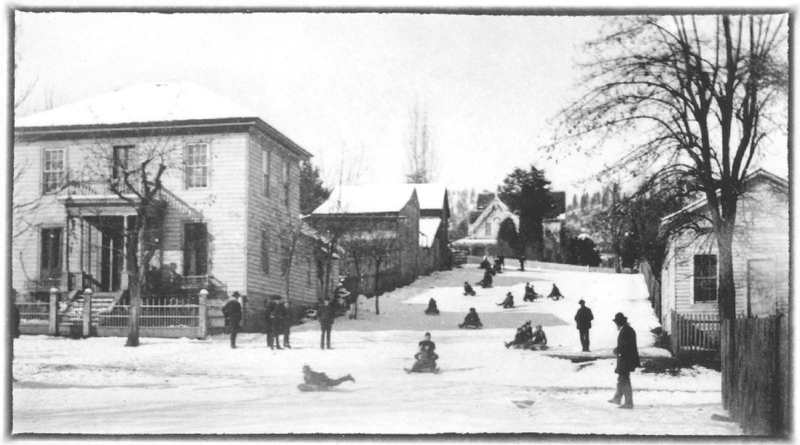 We’ll wish you a Merry Christmas and some very happy holidays with this photo from the late 1800s of sledding on Jacksonville’s Britt Hill. The vantage point is the corner of Pine and South Oregon streets. 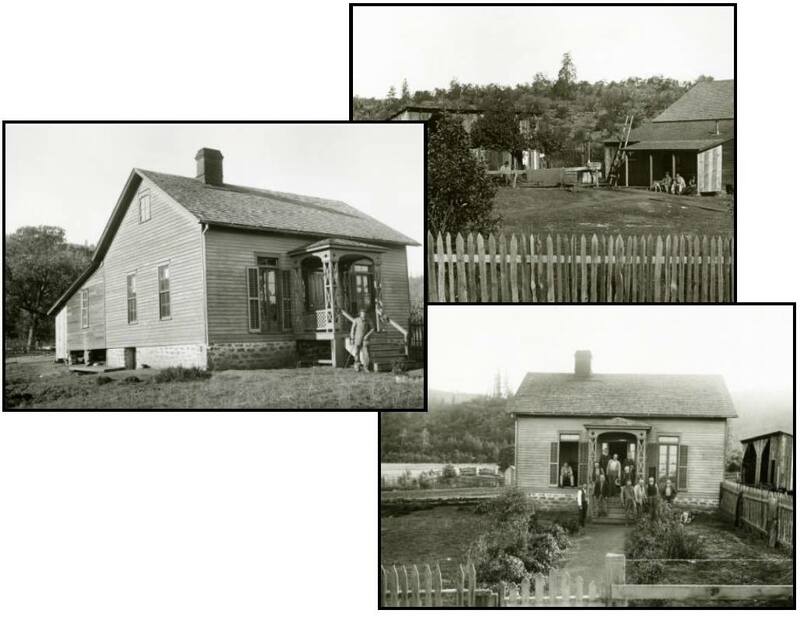 Herman von Helms house is on the left corner with stables and a shed behind it, and Peter Britt’s house can be seen at the top of the hill on 1st Street. Constructed around 1855, the Matthew G. Kennedy house on North 3rd Street is the oldest Jacksonville residence still standing. One of the Valley’s earliest pioneers, Kennedy had been appointed town constable in early 1853 at the ripe old age of 23 and became the first elected Sheriff of Jackson County later that year. Kennedy also invested in Jacksonville real estate. He was the first Jacksonville settler to record his claim to a 100-foot frontage on the north side of California Street. 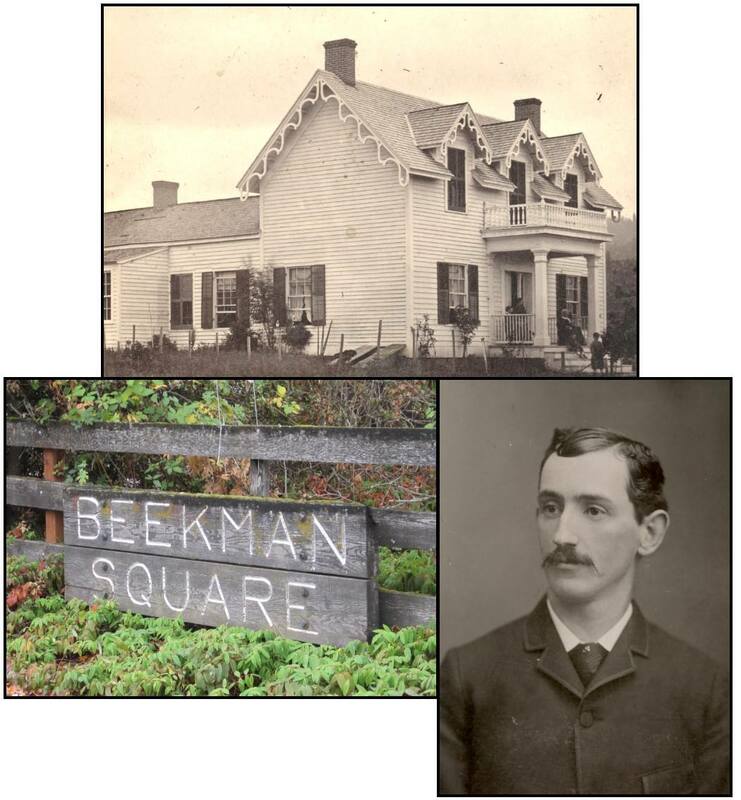 Around 1854, he constructed 1 or 2 wood frame buildings that housed an “assemblage of shops” known as “Kennedy’s Row.” That site now houses The Pot Rack, The Blue Door Garden Store, Farmhouse Treasures, and the historic Beekman Bank Museum. But Kennedy also had a bit of the wanderlust. 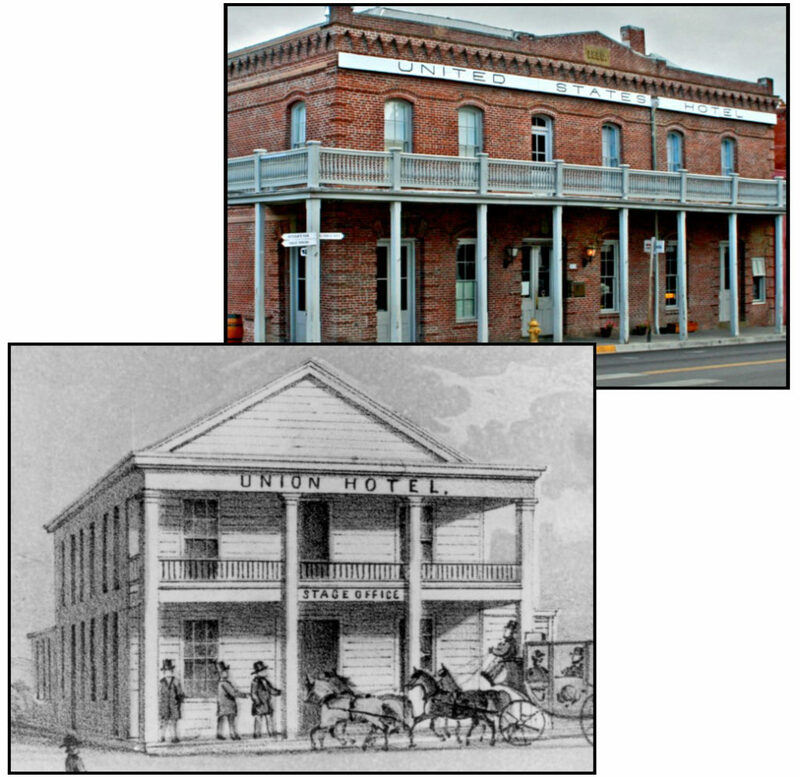 In 1857 he left Jacksonville to build a hotel called the Metropolitan House Hotel in Yreka, and by 1863, he had moved on to San Francisco. Michael Hafner shared this photo with Historic Jacksonville. He found it in an antique store and posted it on Forgotten Oregon. He thought the tree seemed very familiar. It should. It’s a photo of Emil Britt, the son of famed Jacksonville photographer and horticulturist, Peter Britt. 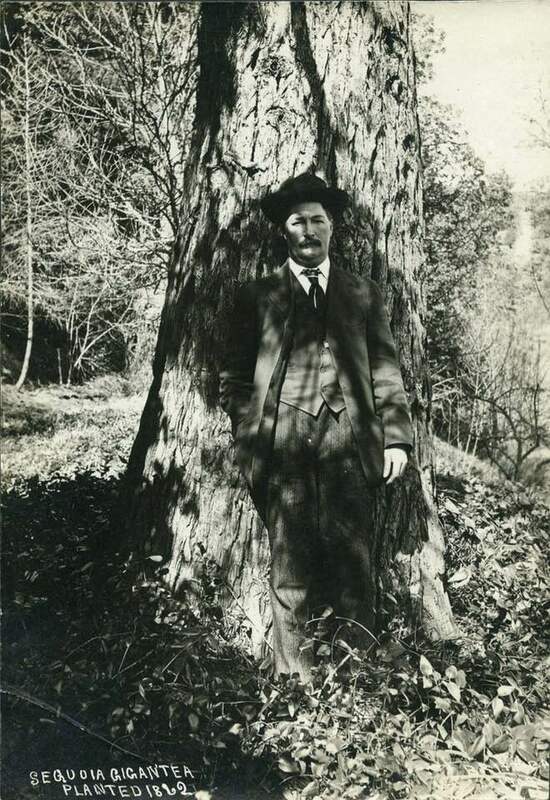 Peter Britt himself may have taken the photo in the early 1900s. Emil is standing next to the Giant Sequoia his father planted in 1862 in honor of his birth. This majestic 200+ foot-tall tree, an official Oregon Heritage Tree, can still be found in the Peter Britt Gardens at the start of the Jacksonville Woodlands’ Sarah Zigler Trail. In the spring of 1878, John Hockenjos purchased the 100’ x 100’ northeast corner property fronting 5th Street between D and E streets in Jacksonville. 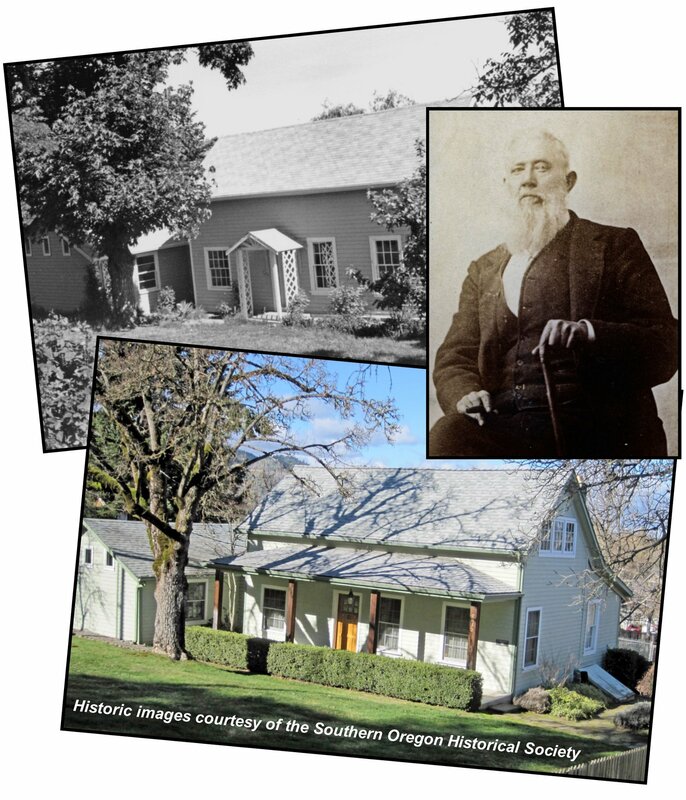 By fall, the Oregon Sentinel announced Hockenjos’s intention to build “a number of new residences on the vacant lot back of the Methodist Episcopal Church, which he will offer for rent.” Hockenjos, a native of Baden, Germany, was a carpenter by training. He had arrived in Jacksonville by the late 1860s and for roughly 25 years was one of the town’s most active builders. He is reported to have made repairs to the early wood frame Jackson County Courthouse and the County Clerk’s office, to have built the Sexton’s Toolhouse in Jacksonville’s Pioneer Cemetery, to have erected the Methodist Episcopal parsonage, and to have constructed and rented homes throughout town. Although Hockenjos built the house at 345 North 5th Street as a rental, the family also occupied it for some period of time. Hockenjos died in 1894, but his wife Eva retained ownership of this house until 1915. 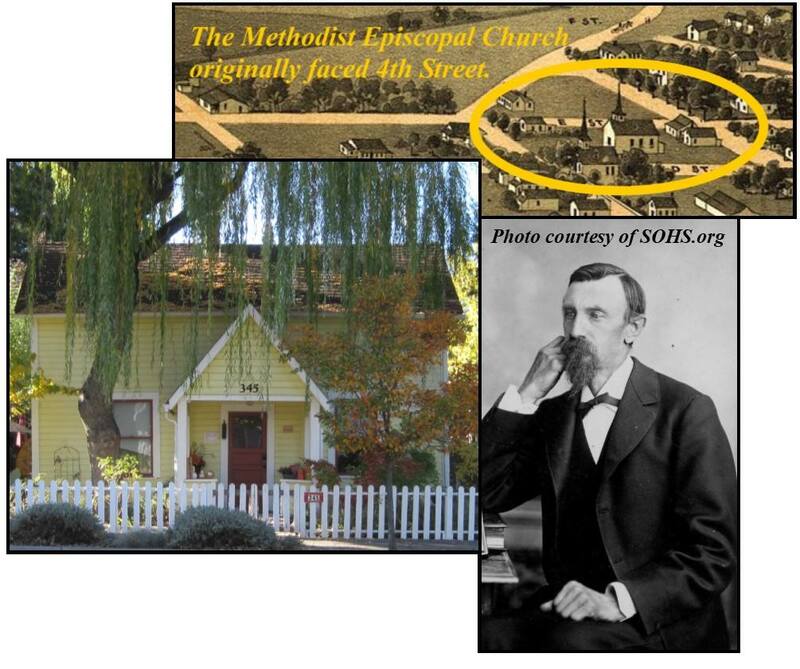 St. Andrews Methodist Episcopal Church, now located at the corner of North 5th and D streets, was completed in 1854—the first church built in Jacksonville, the first church built in southwestern Oregon, and the oldest wood frame structure in town. At some point a parsonage was also constructed on California Street, just east of what became the site of the historic Presbyterian Church. 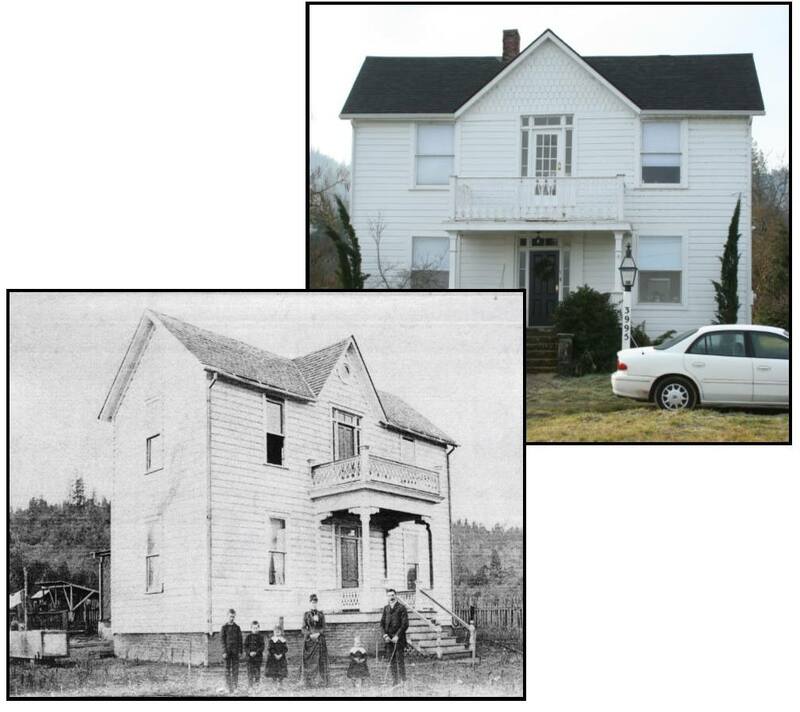 As the Presbyterian Church neared completion in 1881, the Methodist Episcopal Trustees chose to sell the old parsonage and purchase the house at 325 North 5th, newly completed by local builder John Hockenjos. Hockenjos had purchased the entire northeast corner of the block in 1878 with the intention of constructing rental houses. What is now known as the Methodist Episcopal Parsonage may have been briefly rented before the Church Trustees purchased it in April 1881. The parsonage remained in the ownership of the Methodist Episcopal Church until 1921 when it was taken over by the county for back taxes. Sometime before the Church relinquished its title, a 1-story addition with a separate entrance was constructed—perhaps for parishioners visiting the Methodist minister at his home. The building is now a private residence. James Cronemiller spent most of his life in Jacksonville, having moved here with his parents in 1864 when he was less than a year old. He followed in his father David’s footsteps as a blacksmith and then became a successful local merchant until he felt called to public service. Described as “honest, honorable, and upright,” he was named Deputy Sheriff by 1900. When Jackson County Treasurer Max Muller died in 1902, Cronemiller was appointed as his replacement and then elected to 4 terms of his own. He subsequently became Deputy County Assessor and also served as Jacksonville City Treasurer for over 20 years. Cronemiller was also active in lodge work serving s treasurer of Jacksonville’s Odd Fellows lodge for 13 years, secretary of the Warren Masonic Lodge for 14 years, and scribe of the Royal Arch lodge for 19 years. In 1908, when St. Mary’s Academy relocated to Medford, Cronemiller purchased the former school house for his residence. Located at what is now Beekman Square on E. California Street, his residence became part of Jacksonville’s pioneer “Millionaire’s Row.” Cronemiller died in 1923, “loved and respected by all.” The house burned in the 1930s. For most Jacksonville residents, the northeast corner of California and 3rd streets has always been home to Rasmussen’s Super Serve. Established by Ernest Rasmussen in 1950 as a combination gas station and car repair shop, the gas station portion has long been closed but Ernest’s grandson Steve still operates the popular local repair service. However, that corner has an older history of servicing local transportation needs. 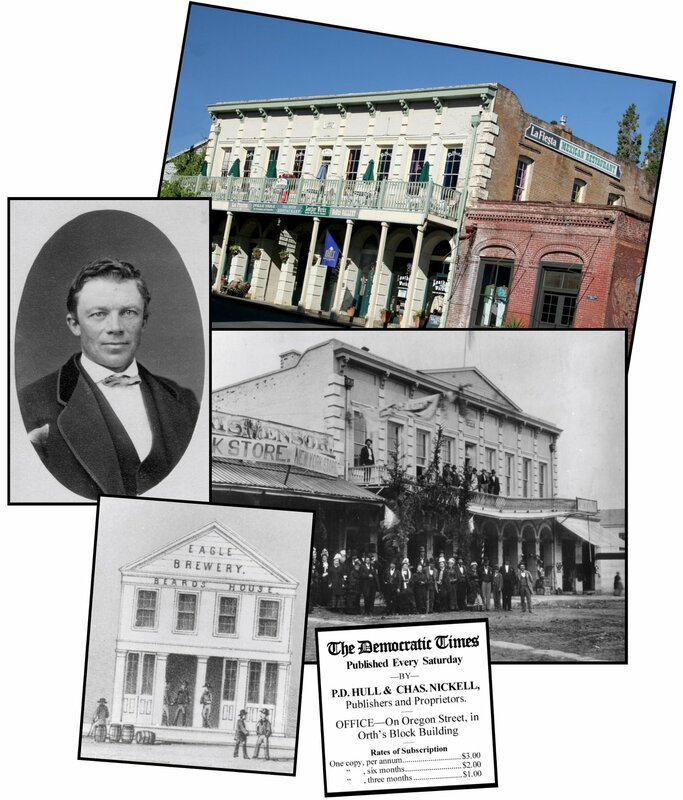 David Cronemiller, a native of Pennsylvania, arrived in Jacksonville in the early 1860s, and opened a blacksmith shop on that site in competition with the successful Patrick Donegan smithy diagonally across California Street. 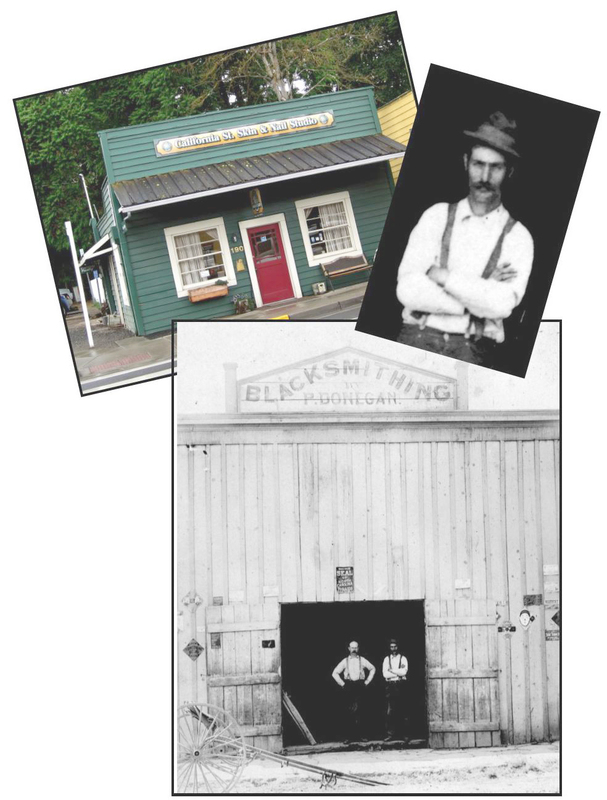 Business must have been booming since Cronemiller’s original smithy was soon replaced by a large, well-equipped blacksmith and wagon shop. 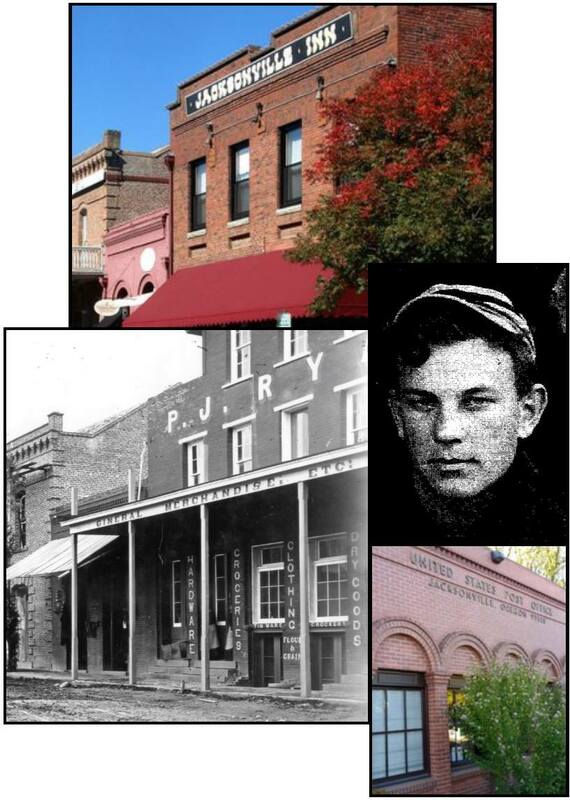 He was described as “an excellent mechanic,” “always kept busy by satisfied patrons.” Donegan had closed shop by the late 1800s but Cronemiller continued to operate successfully until 1904 when his health began to fail. Cronemiller died in 1910, mourned by many for both his “honest and upright” nature and “his gentle forbearing ways.” Cronemiller’s smithy and wagon shop were torn down in 1929. 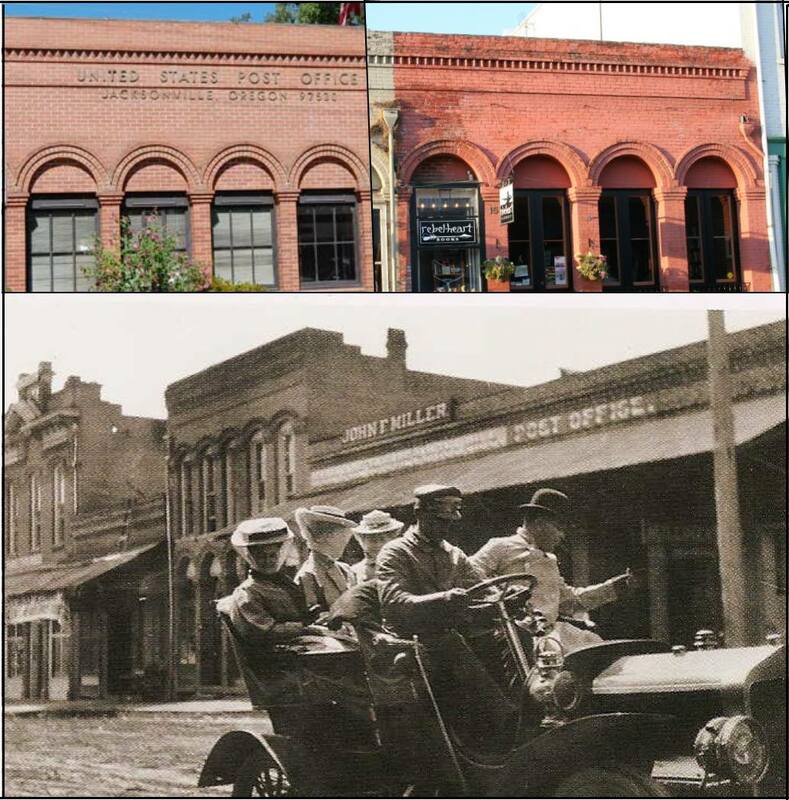 We’ve finally come to the end of our Jacksonville Post Office saga after chasing the post office’s location beginning in 1854 through most of the buildings in downtown Jacksonville. 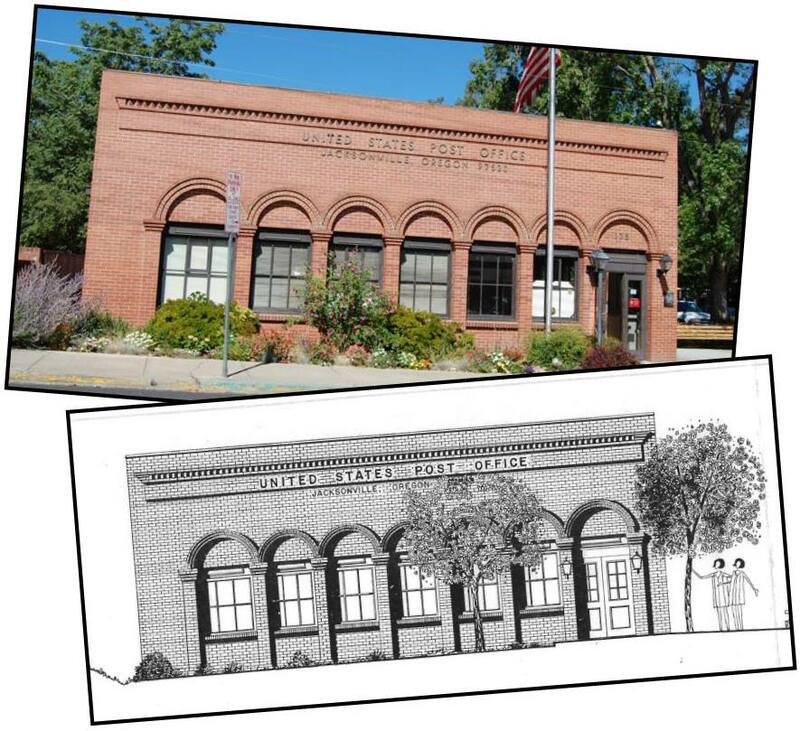 The structure current residents know as the town post office, located at 175 N. Oregon Street, was officially dedicated on May 4, 1968. And what a celebration it was! The all-day event kicked off with a “buckaroo breakfast” at the original Pioneer Village, a coffee for U.S. Senator Wayne Morse, a picnic lunch on the grounds of the Jacksonville Museum (now the City offices), followed by a parade from the Museum to the new post office building. The dedication ceremony included speeches by Mayor Curly Graham, Senator Morse, the Regional Post Office Director, and other dignitaries. Morse also dedicated a flag that had flown over the Post Office Department in Washington D.C. to Jacksonville Postmaster Clarence Williams. 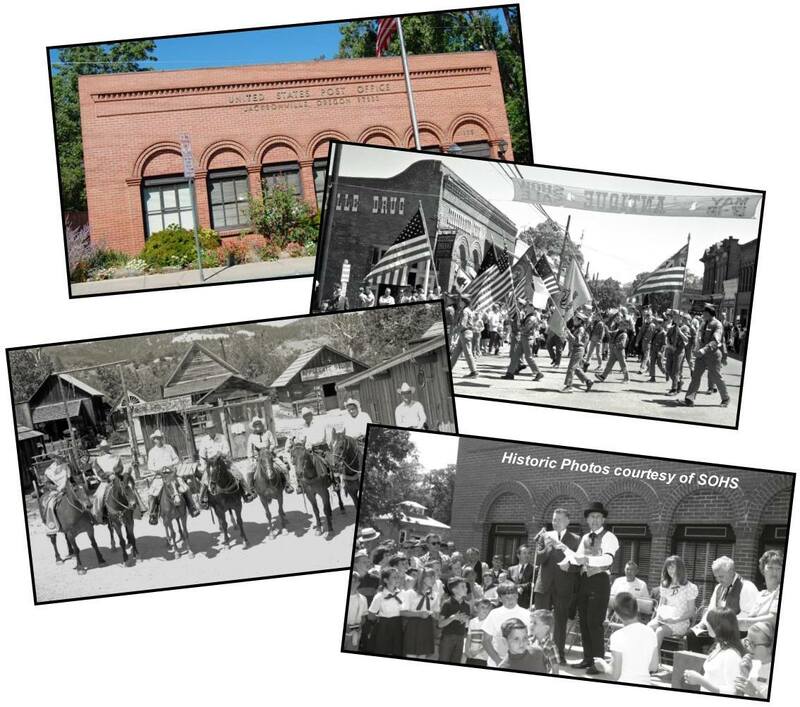 A highlight was Pony Express riders delivering mail bags containing congratulatory letters from the mayors of Gold Hill, Central Point, Rogue River, Eagle Point, Medford, Phoenix, Talent and Ashland. But the day wasn’t over! An open house for the building followed along with a Britt Society antique show and sale. A dance in the ballroom of the U.S. Hotel finally ended the celebration. It was a very fitting day for the oldest continually operating post office in Jackson County—164 years and counting! We’re into the 1950s so are nearing the end of the wandering Jacksonville Post Office saga. Around 1954, the post office was again relocated—this time 2 ½ blocks down the street from the Masonic building to 220 E. California, the current home of Jacksonville Publishing. A Jacksonville resident who grew up here remembered the move clearly. “It was my job to pick up the mail on the way home from school. The boxes had dial combinations, and I had to learn a new one. I loved Wednesdays when the Saturday Evening Post came!” The Postmaster during this period was Leon Matheny. When he died suddenly in 1959, his wife Dorothy was appointed Acting Postmaster. And it’s 1912 and Postmaster John F. Miller, Jr. has moved the post office into his former hardware store at 155 W. California Street. 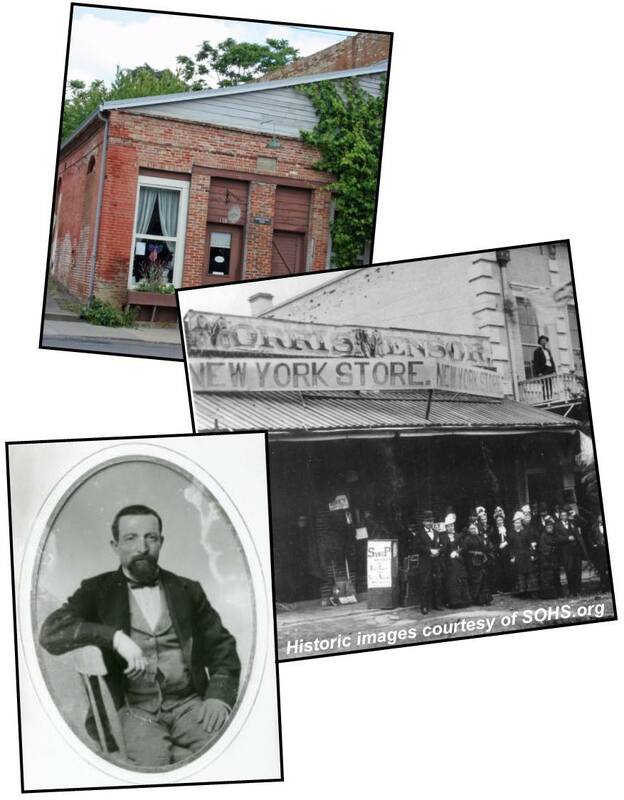 His father had been Jacksonville’s first gunsmith and this 1874 brick building had originally housed his father’s “Hunters’ Emporium.” However, John Jr. was more of a gardener. 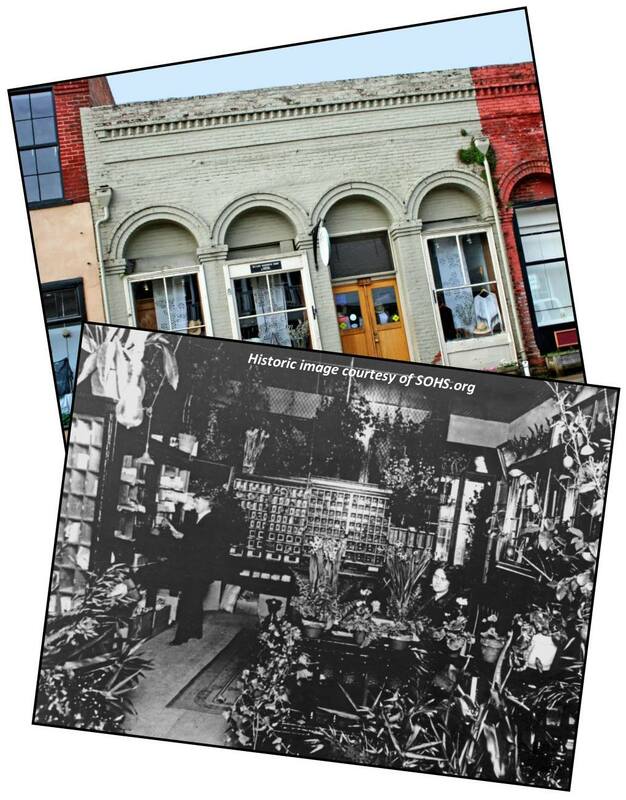 In addition to installing copper lock boxes and special windows for money orders, registry business, and general delivery, he decorated the building with flowers and plants “hanging from the ceiling and piled in corners.” The Jacksonville Sentinel described it as a “combination of a parlor and a greenhouse.” The U.S. Postal Service authorities were not as impressed and eventually required Miller to remove the plants. 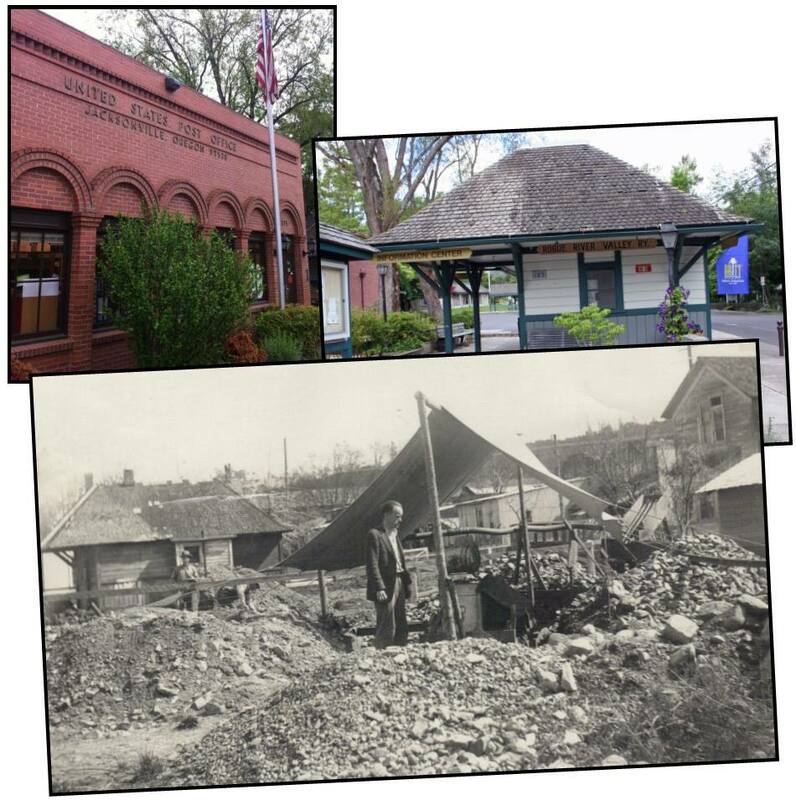 It’s also the next installment in our saga of the Jacksonville post office, the oldest continually operating independent post office in Jackson County since being established in 1854. In July 1888, the Democratic administration appointed Henry Pape, Sr. to the position of Jacksonville postmaster. Pape, one of the town’s substantial German citizens, had served 2 terms as Jackson County Treasurer and several years as City Treasurer. 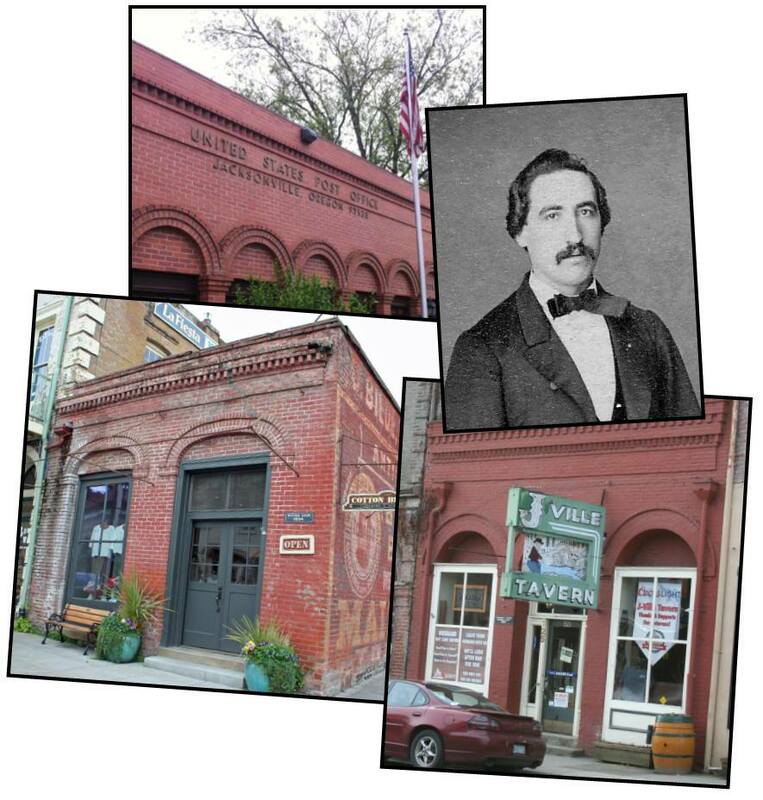 He promptly relocated the post office to his business establishment—a saloon located in the new Masonic Hall at the corner of California and Oregon streets. Pape was apparently both popular and capable since the succeeding Republican administration retained his services as post master for at least another 2 terms. For the next few weeks we’re continuing to track the history of the Jacksonville post office, the oldest operating post office in Jackson County. Supposedly the first actual Jacksonville post office of record was the brick building at 110 S. Oregon Street that now houses the Cotton Broker. 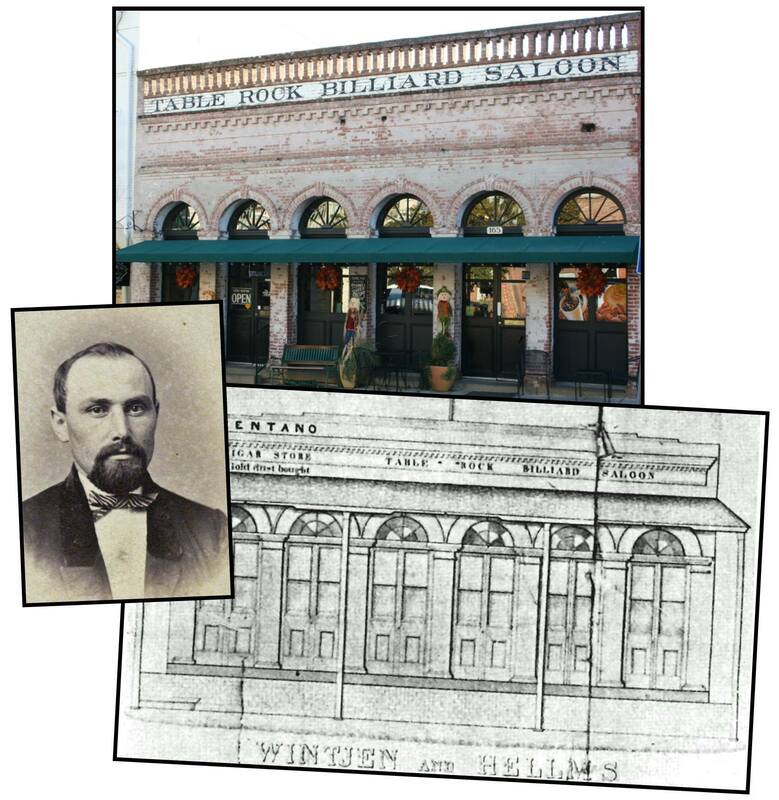 In 1861, Robert and Israel Haines (shown here) constructed this 1-story brick building at the corner of California and Oregon streets, replacing a wooden building they had occupied since arriving in Jacksonville 7 years earlier. 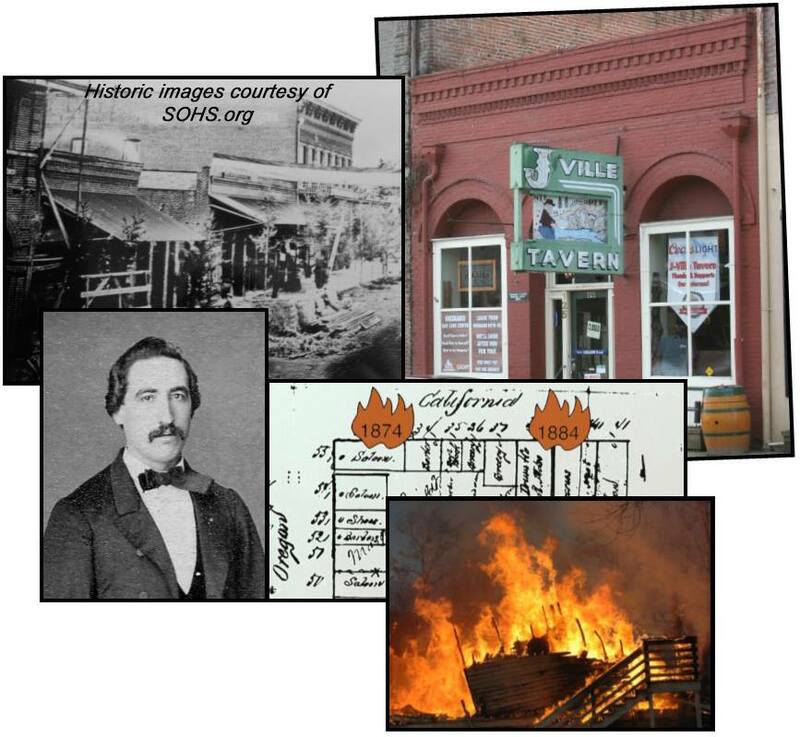 It’s one of the oldest commercial buildings to survive 3 major fires that ravaged the town. In 1864 it reportedly housed the Jacksonville post office. The construction expense may have over extended the brothers financially, since post-1866 records show a series of short-term occupants—Isadore Caro, Gustav Karewski, and Jeremiah Nunan. By 1872, Max Muller (also pictured) had moved his “groceries, candies, nuts, and stationery” store to this location where he also performed the duties of postmaster. 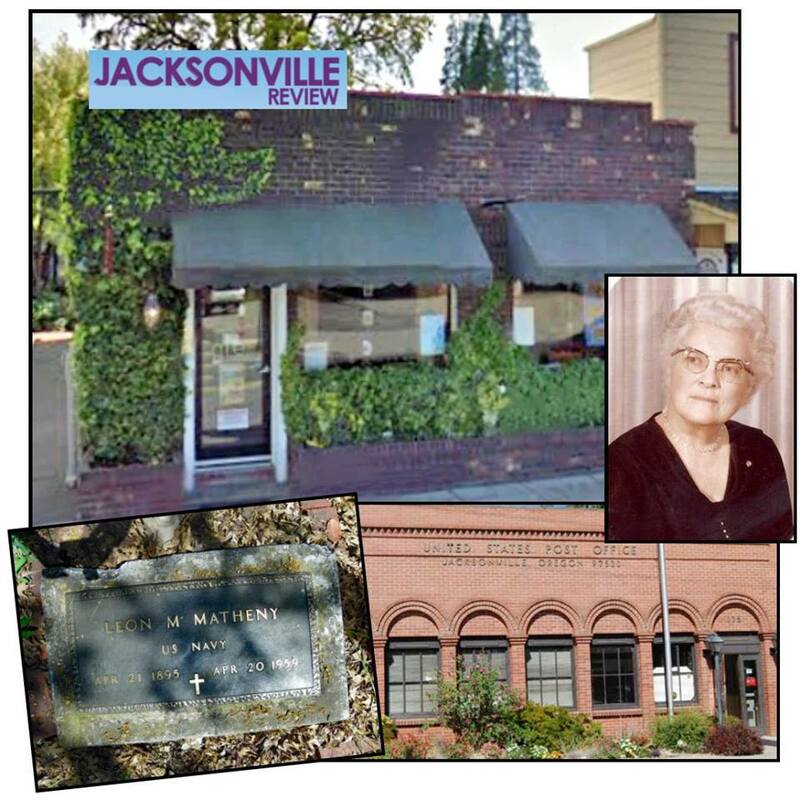 For the next few weeks we’re tracing Jacksonville post office history. It’s the oldest continually operating post office in Jackson County—although the term “post office” may initially be a misnomer. The first “post offices” on the West Coast were essentially contracts with individuals or businesses who were authorized to handle the mail and deliver it along a designated route. Individuals were usually “express riders”; businesses were typically stage companies; and the “post office” was probably the express office or stage stop. Mail might be addressed to a general area and could turn up at any local “post office,” so individuals making trips to town might ask for mail for all their neighbors. 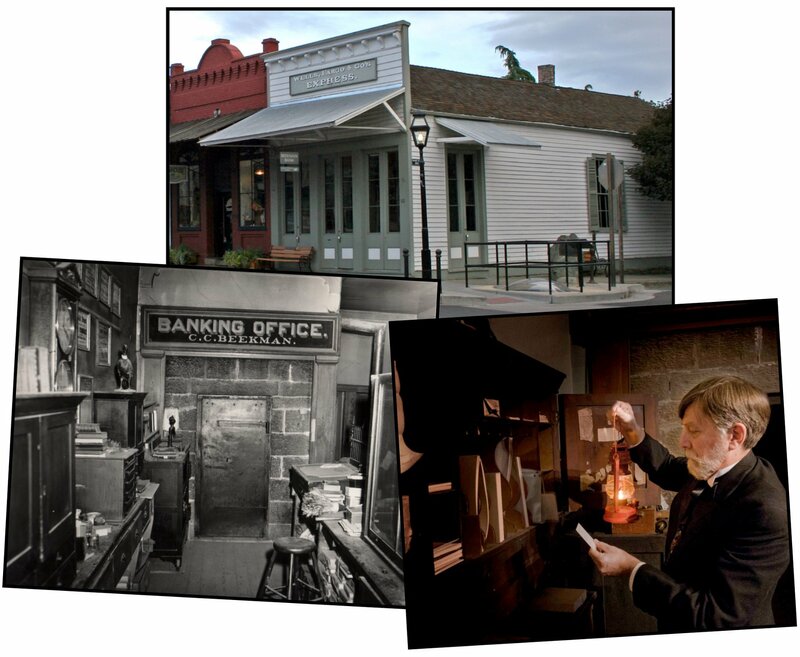 R. Dugan opened the first Jacksonville post office on February 18, 1854. Sam Taylor (lower left) succeeded him as post master in December of that year. Taylor was a miner and early Jackson County Deputy Sheriff. C.C. 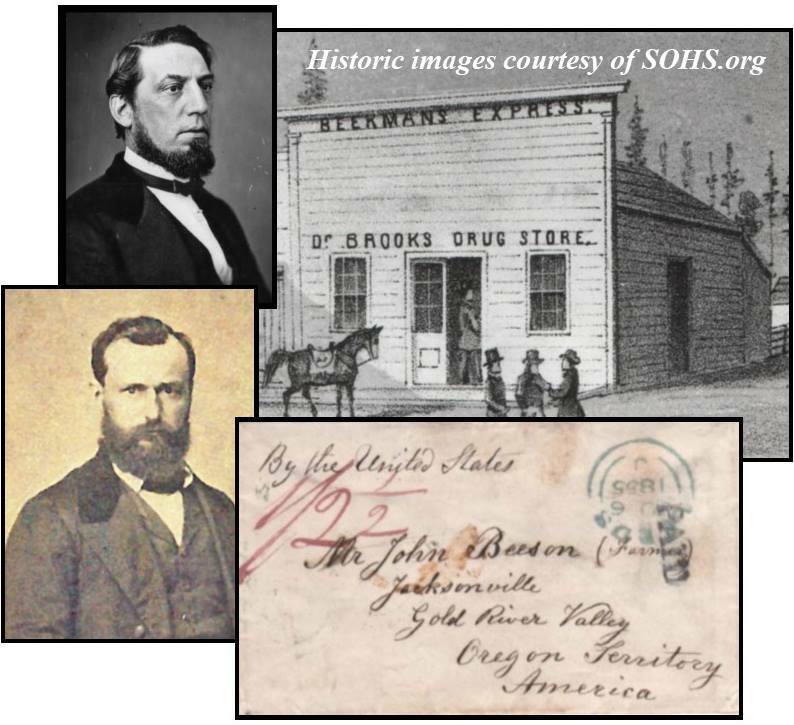 Beekman (upper left) then carried the mail from Jacksonville to Yreka until 1863, initially as an express rider for Cram Rogers & Company, then for his own company, Beekman’s Express. The U.S. didn’t issue postage stamps until 1847, and for a number of years afterwards, letters could still be hand stamped. Prepayment of postage was not required until 1855. From 1851 to 1855, a prepaid ½ ounce transcontinental letter cost 6₵; the unpaid rate was 10₵. The prepaid West Coast rate was 3₵ and the unpaid rate 5₵. The mail contractor would have added a surcharge of 1₵ or 2₵ per letter. Did you know that the Jacksonville post office is the only independent post office in Jackson County with its own superintendent—a story all to itself. And it’s the oldest continually operating post office in the county since opening in 1854. It’s been located in almost every building in Jacksonville’s historic downtown. Over the next few History Trivia Tuesdays we’ll try to trace as much local post office history as we’ve been able to piece together. 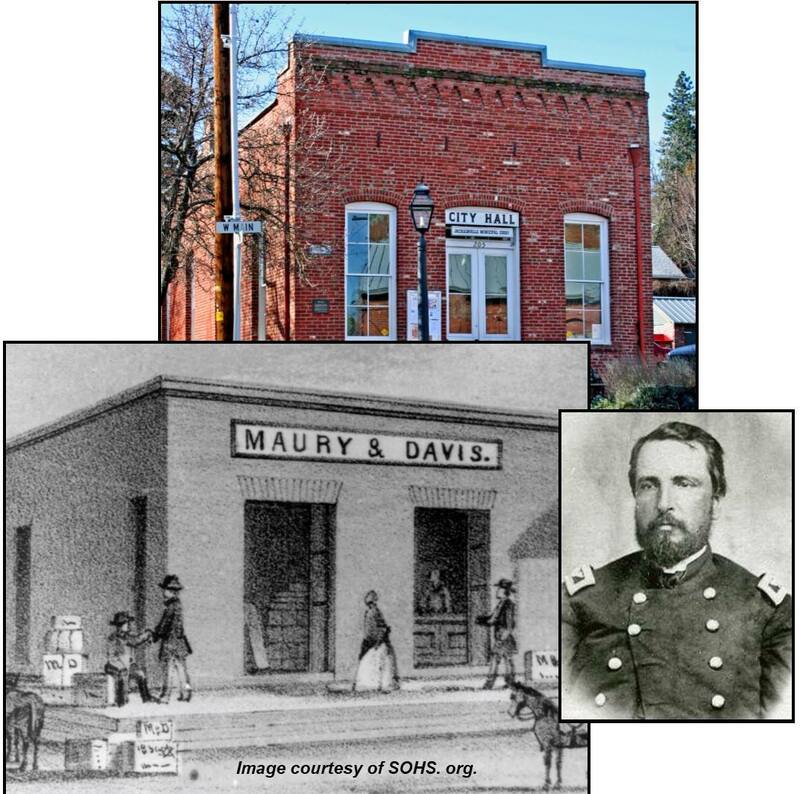 The first Jackson County post office was established by William T’Vault in 1852 in the Dardanelles, across the Rogue River from Gold Hill. 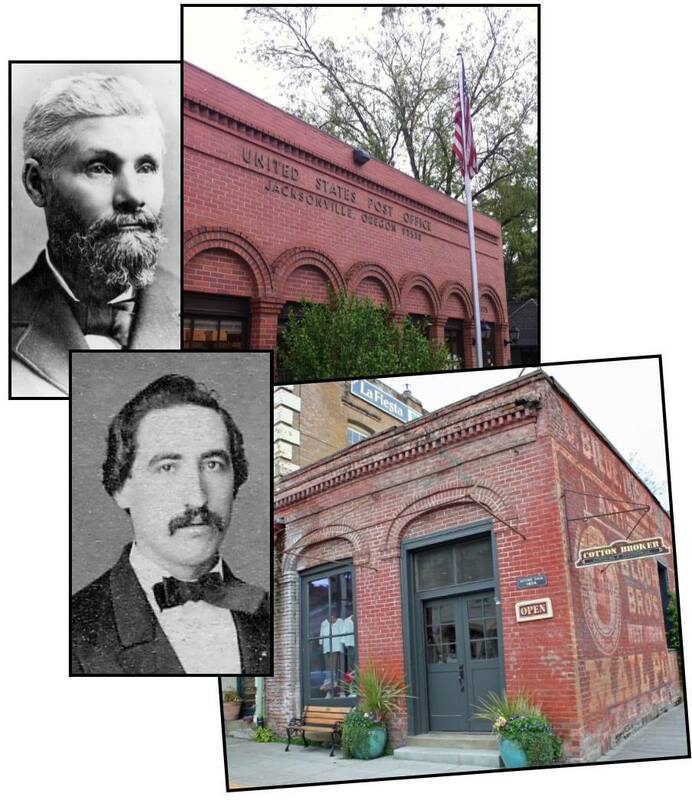 T’Vault, who founded the now defunct town, was Oregon’s first postmaster general, being named to that position in 1845 soon after the wagon train he commanded reached Oregon City. T’Vault came to Southern Oregon in 1852 when he learned of the region’s gold strikes. 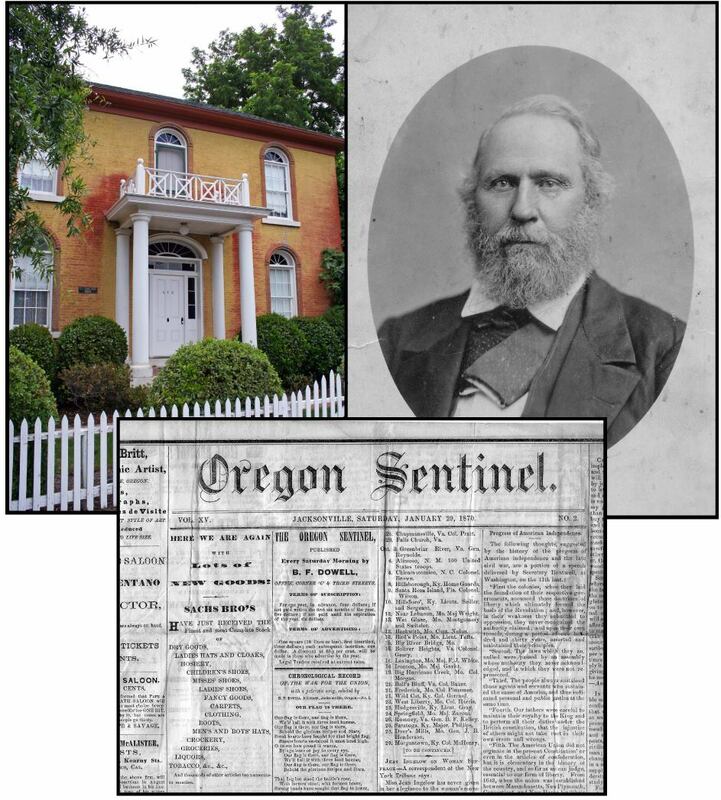 He moved to Jacksonville in 1855, establishing the first newspaper in Southern Oregon, the Table Rock Sentinel, changing its name to the Oregon Sentinel 3 years later. He also returned to his law practice, and in 1858 was elected to the Territorial Legislature as a slavery and states rights advocate, soon after becoming speaker of the House. T’Vault was an early advocate of the “state of Jefferson,” which he pictured as an independent Pacific slave-holding republic. Although there have since been several attempts to create a “State of Jefferson” from northern California and Southern Oregon (although none included slavery), a new Pacific Coast state has yet to be realized–although California is now entertaining a proposal to break into 6 separate states! T’Vault died in 1869, the last victim of the 1868-1869 smallpox epidemic. 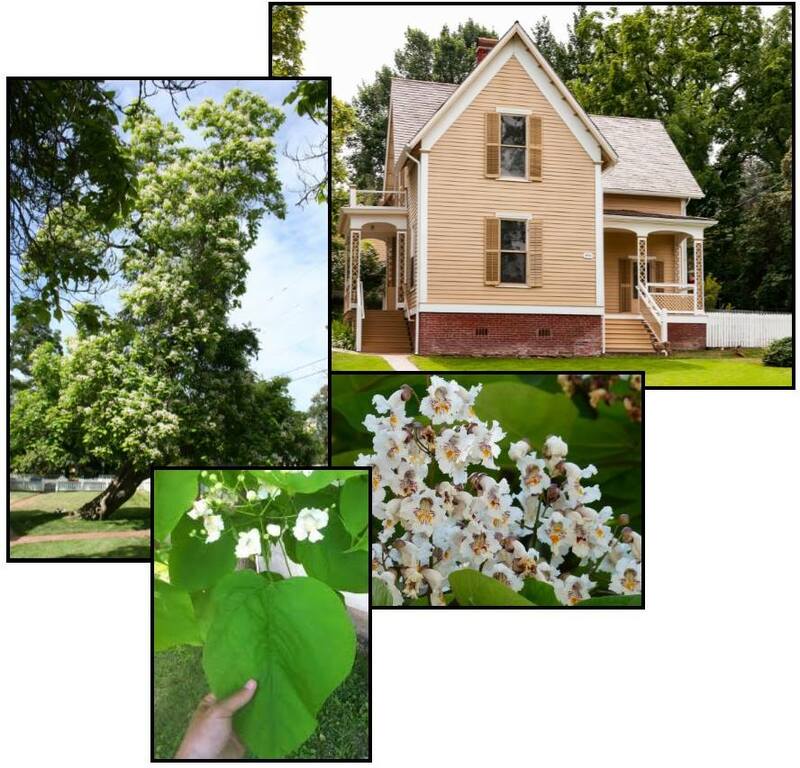 For years, 2 huge Catalpa trees with their large heart-shaped leaves and popcorn-like clusters of flowers were prominent features in the yard of Jacksonville’s historic Beekman House Museum at 470 E. California Street. These quick-growing trees were popular plantings in pioneer settlements throughout the West. Also known as the Indian bean tree, the Catalpa was valued for its medicinal uses. Tea brewed from its bark was used as an antiseptic to treat snake bites and whooping cough. A light sedative could be made from the flowers and seed pods, and the flowers were used for treating asthma. The leaves could also be turned into a poultice for treating wounds. However, the leaves may have served an even more valued purpose. Prior to the days of indoor plumbing, the large, soft Catalpa leaves may have been a welcome alternative to the Sears Roebuck catalog…. You can appreciate the remaining 100-year-old Catalpa tree when you tour the 1873 Beekman House any Saturday this summer – although public restrooms have now replaced the 2-seater outhouse which you can still see in the backyard! Well into the 20th Century, the Fourth of July was a bigger holiday than Christmas. 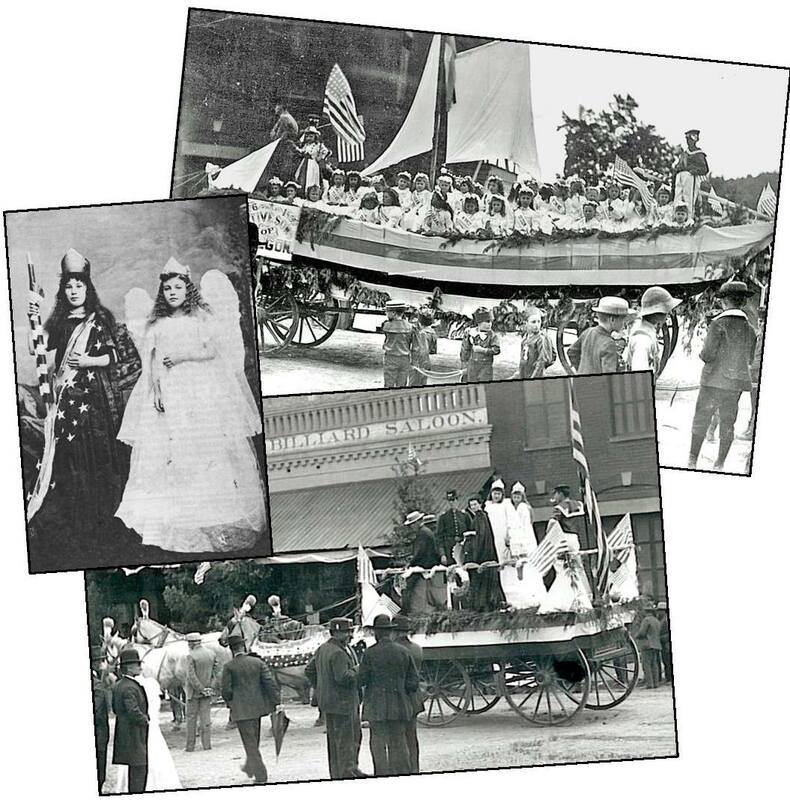 And with Independence Day celebrations taking place all around the Rogue Valley, we’ve chosen to again share how Jacksonville honored this special occasion in the late 1800s. The Oregon Sentinel provided a detailed description of the town’s 1876 festivities. Residents were awakened with a reveille of cannon and gun fire, followed by an elaborate parade. The procession of prancing horses, brass bands, and floats formed in front of the courthouse. Typical floats might showcase 38 young girls representing each state, the Goddess of Liberty and the Angel of Peace, or other patriotic symbols. The parade usually ended at Bybee’s Grove where residents and visitors alike could enjoy a full day of oratory, food and drink, music, games, dancing, and other activities. Current celebrations may not be so elaborate, but Jacksonville residents can still enjoy a Fourth of July picnic with the Mayor from 12n to 3pm on the lawn of City Hall with free hot dogs, chips, and watermelon! From as early as 1855 to at least 1888, Jacksonville’s southwest corner of California and 4th streets housed Patrick Donegan’s smithy. Donegan, a native of Ireland, had immigrated to the U.S. as a teenager and by 1850 had followed the hordes of gold seekers to San Francisco. After trying his hand in the California gold fields, he staked a claim in the Oregon mining camp of Sterling before settling in Jacksonville in 1855 and returning to the profession for which he had trained. 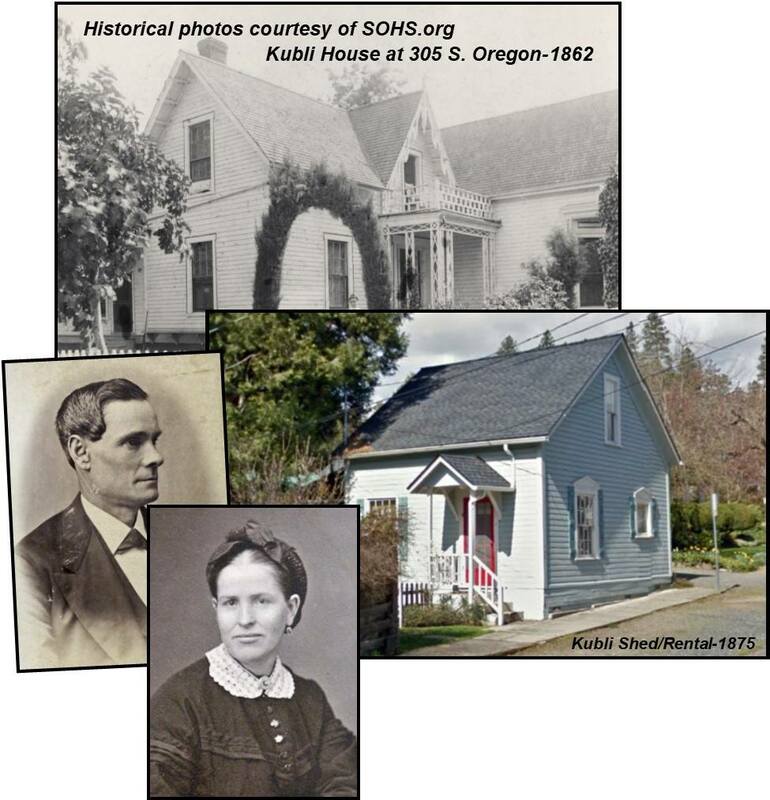 His black smithy proved profitable; the 1870 census showed a personal wealth of $12,000 plus real estate valued at $3,000 which included a 5,000-acre tract on the Rogue River used for sheep farming. In 1860, he had married Margaret Lynch, 12 years his junior, with whom he had 5 children. Following Margaret’s death at age 30, he married Mary Fleming, 18 years his junior, whom he met on a visit to Ireland. They had 3 more children. Only 3 of Donegan’s 8 children survived; 4 died in typhoid or diphtheria epidemics; one died from “lockjaw” (tetanus) after a toy pistol exploded in a 4th of July accident. By the turn of the century, Donegan had closed his smithy and moved to San Diego where he died in 1919. He is buried in the Catholic section of the Jacksonville cemetery. Today we’re also asking for your help with a history mystery! We’re trying to locate Emil DeRoboam’s Jackson County Poor Farm. 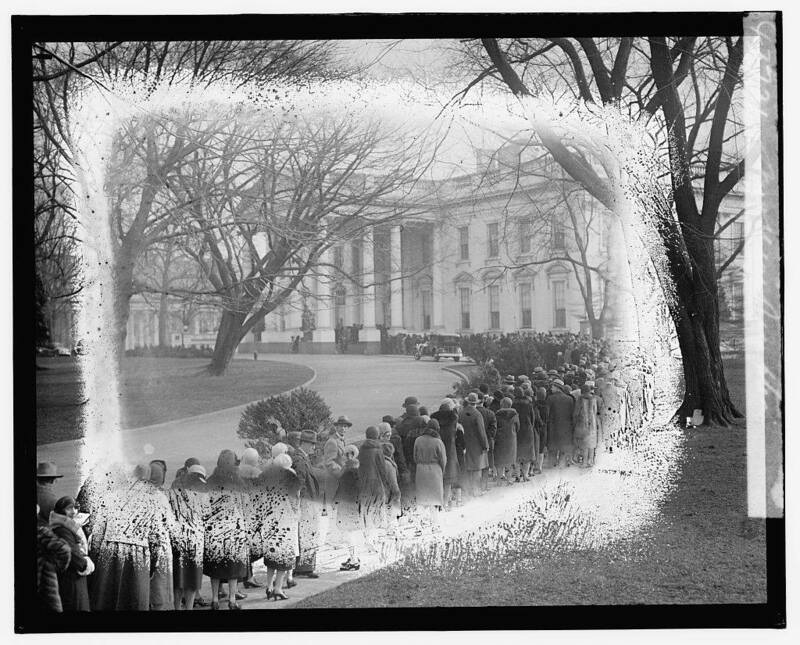 [See photos.] We recently told you how Emil DeRoboam was the farm’s superintendent. He apparently took over from his aunt, Madame Jeanne DeRoboam Holt, proprietress of the U.S. Hotel. She had obtained the contract for the county “poor hospital” in 1880, housing the indigent for $1.49 a day in a building she rented adjacent to her Franco-American Hotel, the current site of the Jacksonville Inn cottages. Emil apparently ran it for two years after her death in 1884. 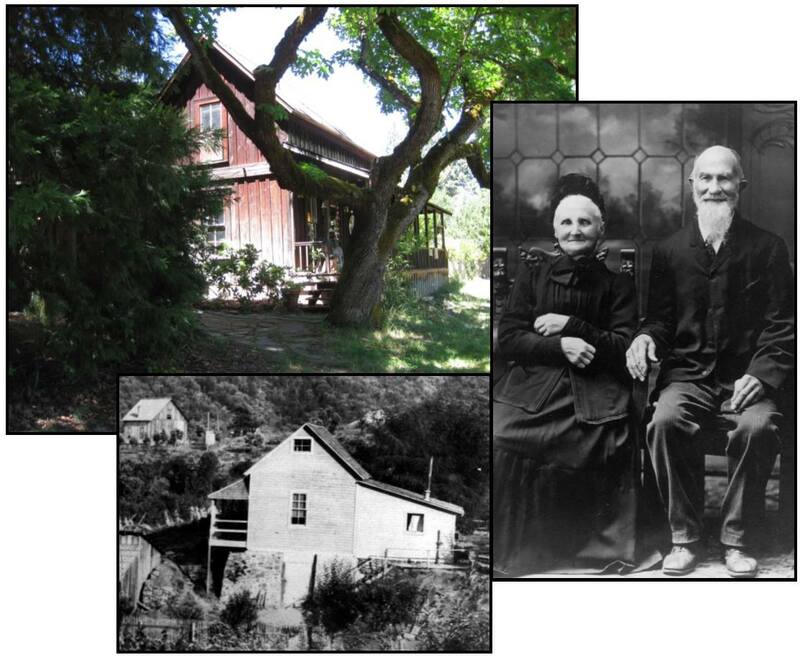 When he moved his family to Yreka, the inmates were relocated to J.M Lofland’s farm near Jacksonville. However, by 1888, Emil was back in town and purchased the 642-acre Bellinger land claim. In addition to farming the land, he obtained the contract for the county “poor farm” in his own right and ran it for almost 20 years until the county purchased a site near Talent. The Talent site, which operated until 1983, is now home to the Southern Oregon Educational Service District. But back to Emil. Where was his “poor farm”? It had to be somewhere near Bellinger Lane and his home at 3995 S. Stage Road. Can you help us locate it? Are you familiar with how the discovery of gold during the winter of 1851-52 led to the founding of Jacksonville? Within a few months the area was dotted with the tents of 3,000+ miners seeking the promise of treasure. However, you may be less familiar with Jacksonville’s second gold rush. As an alternative to putting residents on the “dole” during the Great Depression, the County gave out mining permits, allowing residents to dig for any residual gold. Some got lucky, but most latter-day miners only found enough gold to live from day to day. However, almost every inch of Jacksonville was “undermined.” Most mining shafts were dug in backyards, but some residents had sufficient moxie to burrow under the town’s commercial buildings like the shaft pictured here in what is now the parking lot behind Jacksonville’s post office and Visitors Center. The result is periodic “sink holes” opening over old mine shafts around town. Learn more about Depression Era Jacksonville this Saturday, May 26, when you join Beekman family members and friends for 1932 Living History tours at the town’s historic Beekman House Museum, located at 470 E. California. Interact with historical interpreters at 11am, 1 or 3pm as they close this 1873 home, go through family belongings, comment on current affairs, and reminisce about growing up in the late 1800s. Emil DeRoboam, nephew of U.S. Hotel proprietress Madame Jeanne DeRoboam Holt, had learned the tailor’s trade as a youth in France. After emigrating to Jacksonville in 1871 with his widowed father, Jean St. Luc DeRoboam, he became a wagon and carriage maker. 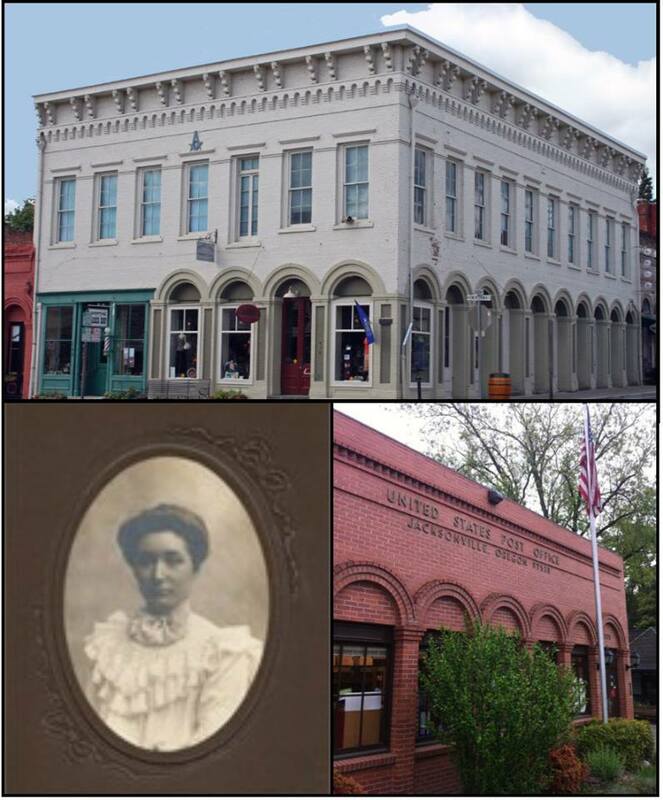 The Democratic Times newspaper at various times declared Emil to be “an excellent mechanic” and “an excellent wheelwright.” After his father married rich Prussian widow Henrietta Schmidling in 1873, Emil courted and married her daughter Rosa 2 years later. The couple had 4 children. Emil was described as a “progressive man” and “prominent in political undertakings.” In the mid-1880s he purchased the 642 acre “Bellinger land claim” for “general farming and stock raising” and obtained the contract for the “county poor.” For 20 years, Emil was superintendent of the Jackson County poor farm, caring for the county’s wards on his farm. His home, pictured here, still stands on South Stage Road.